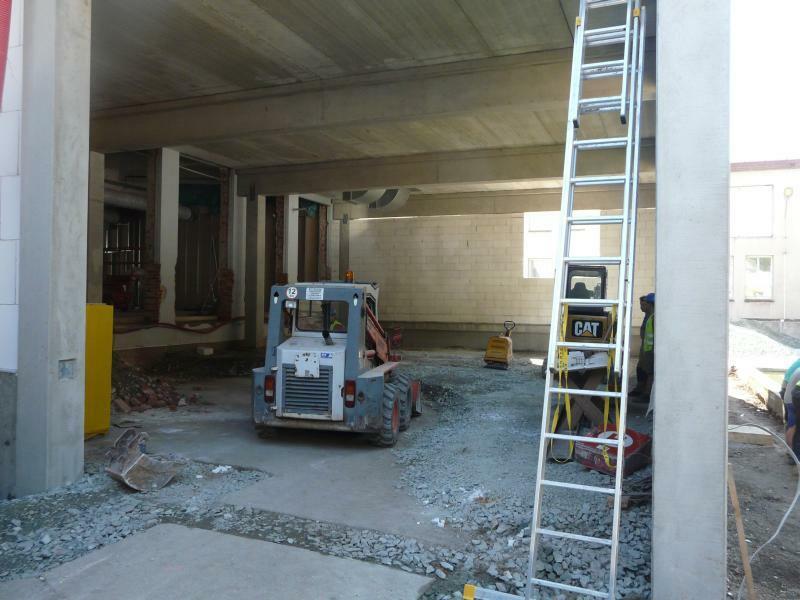 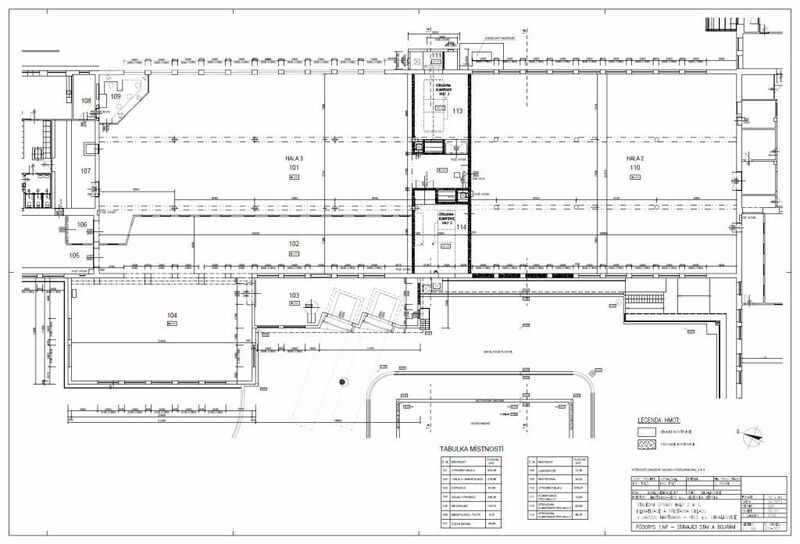 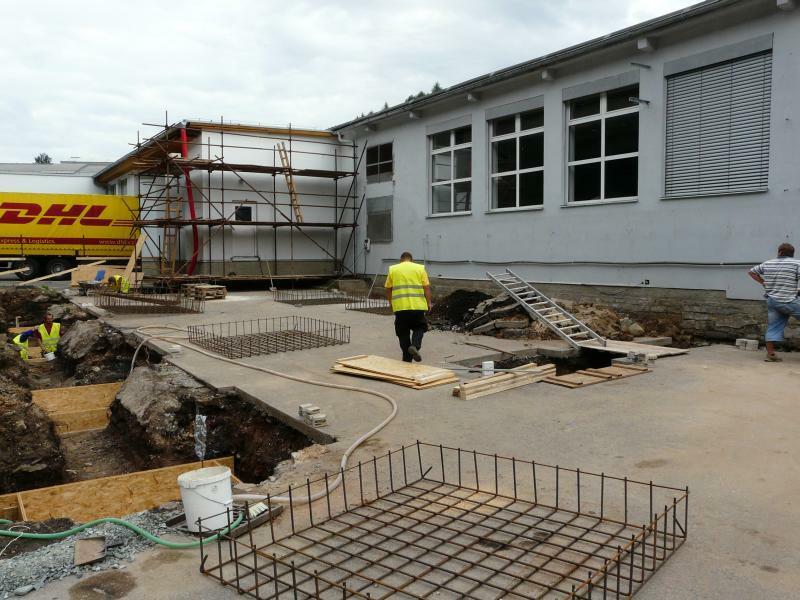 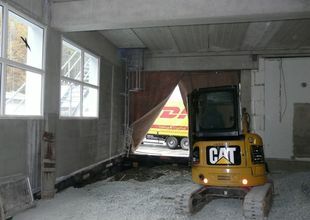 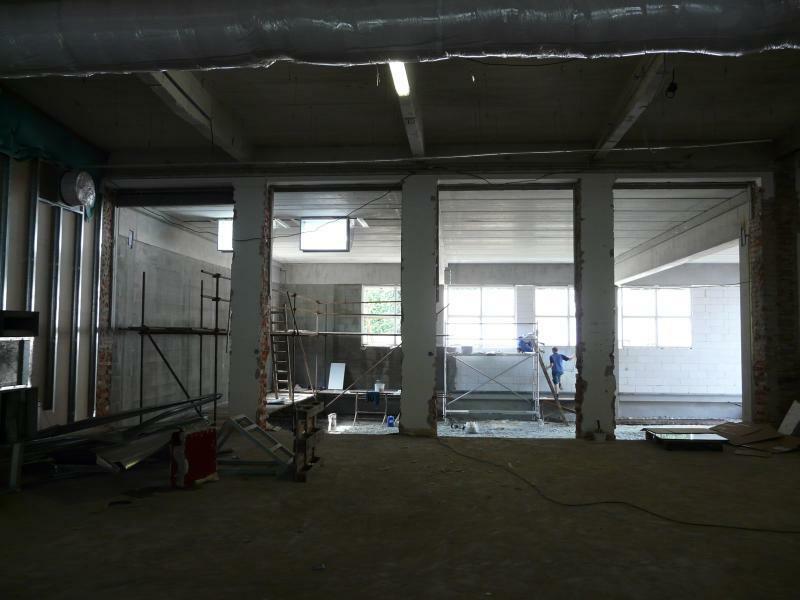 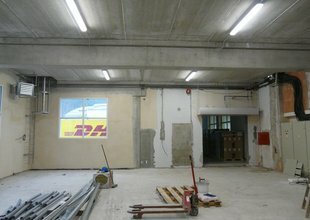 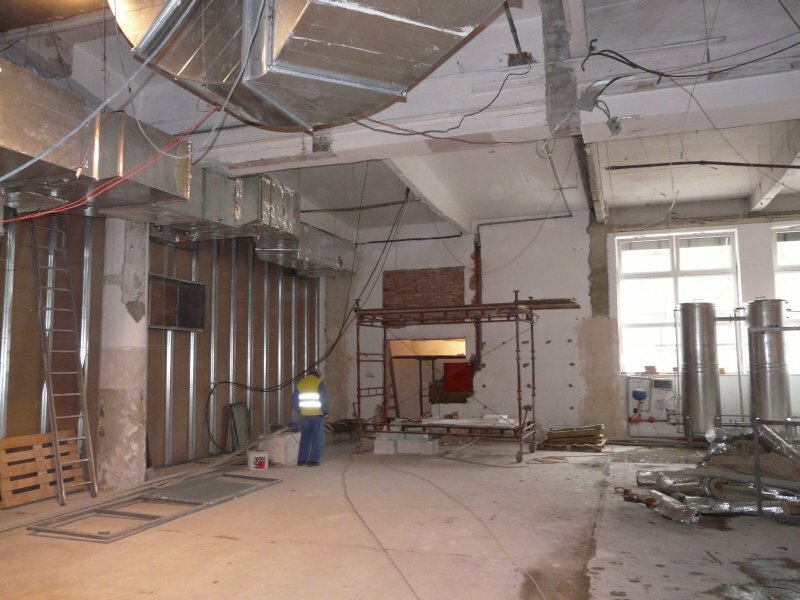 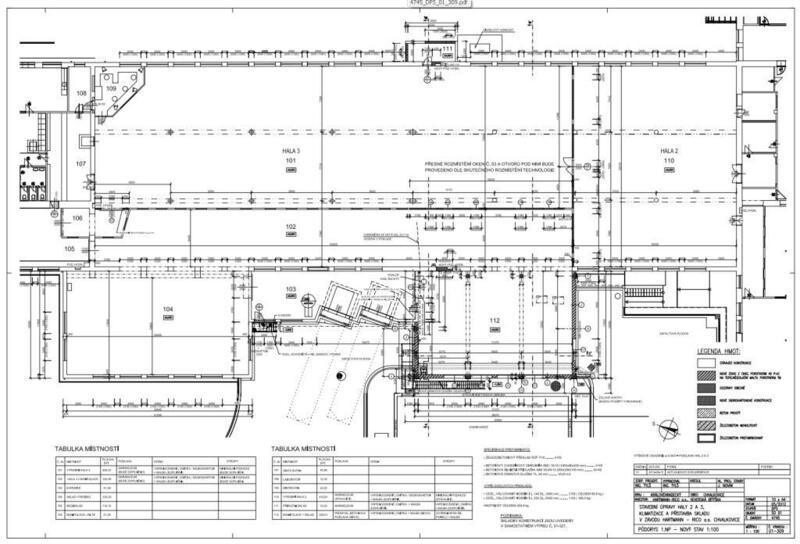 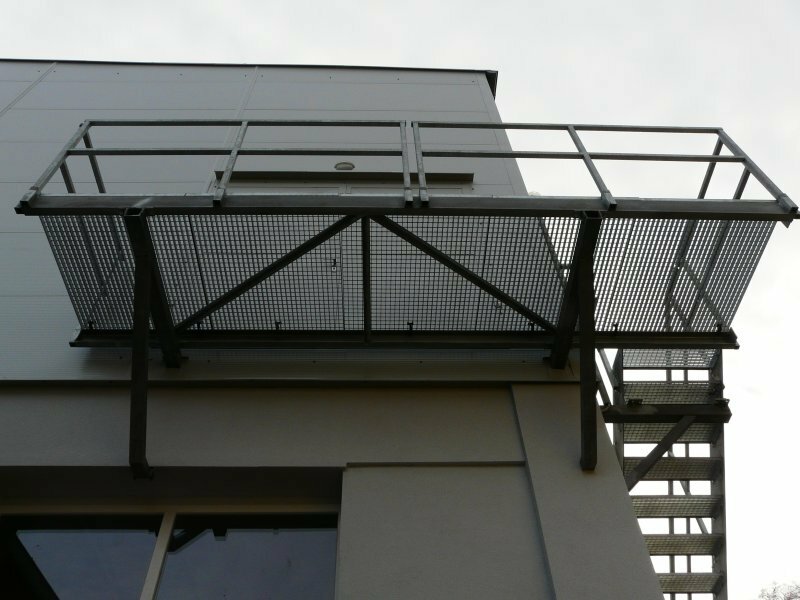 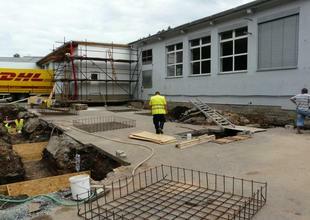 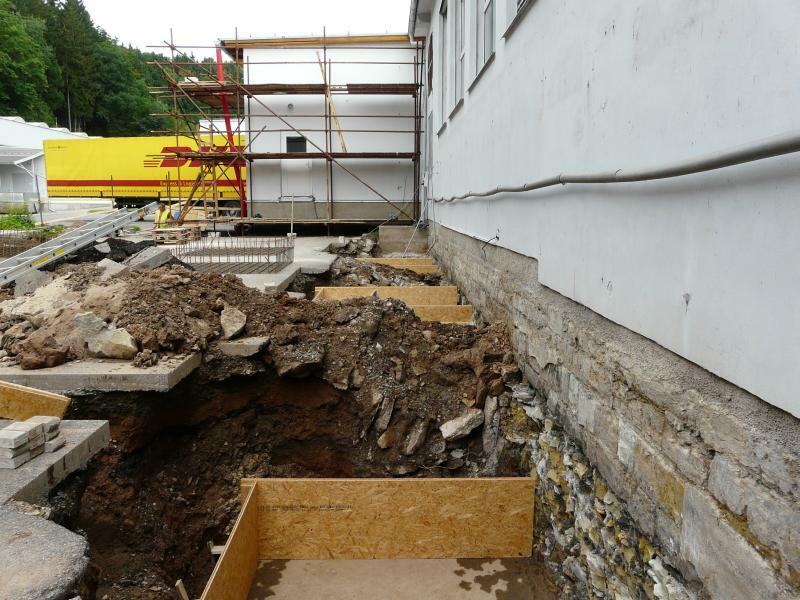 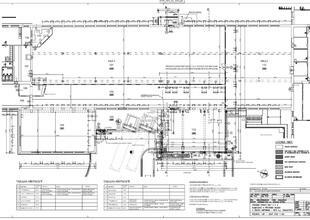 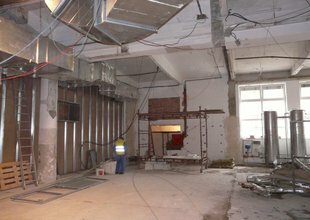 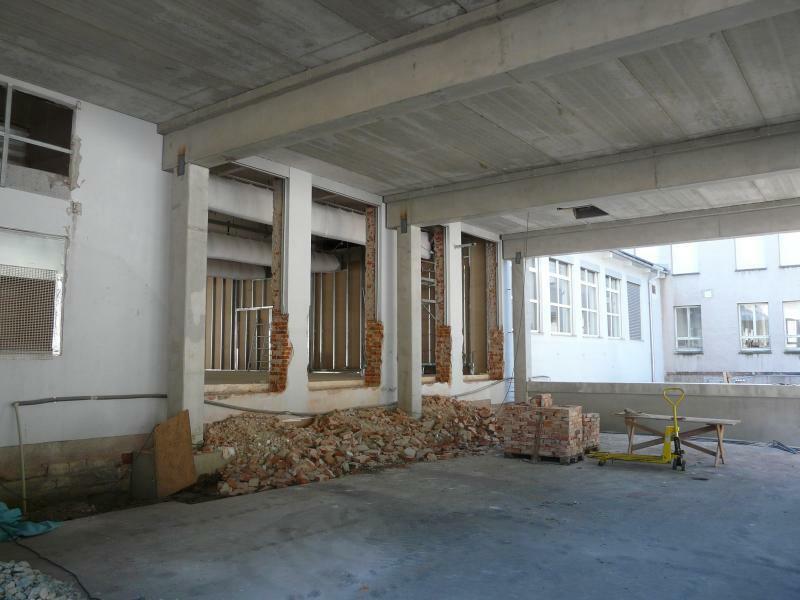 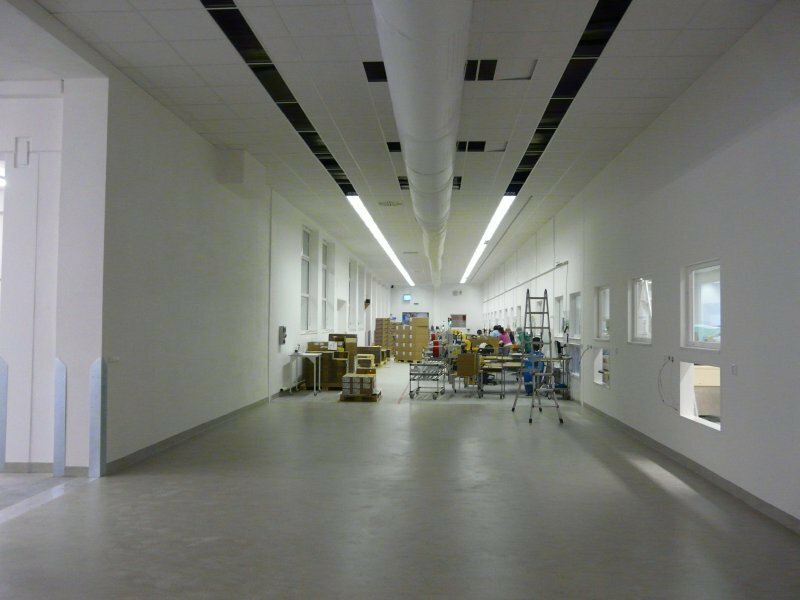 The aim of the investor was to create a two-storey extension to the existing manufacturing halls. 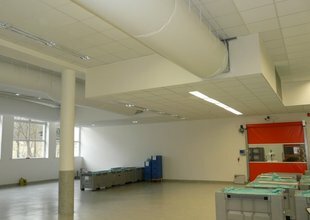 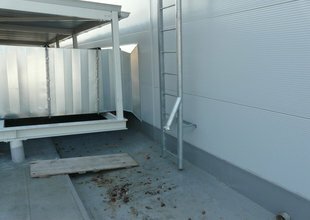 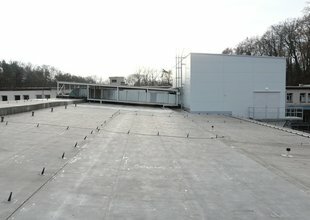 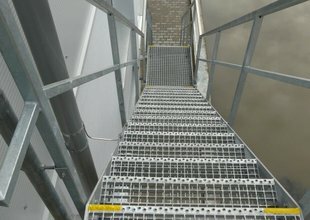 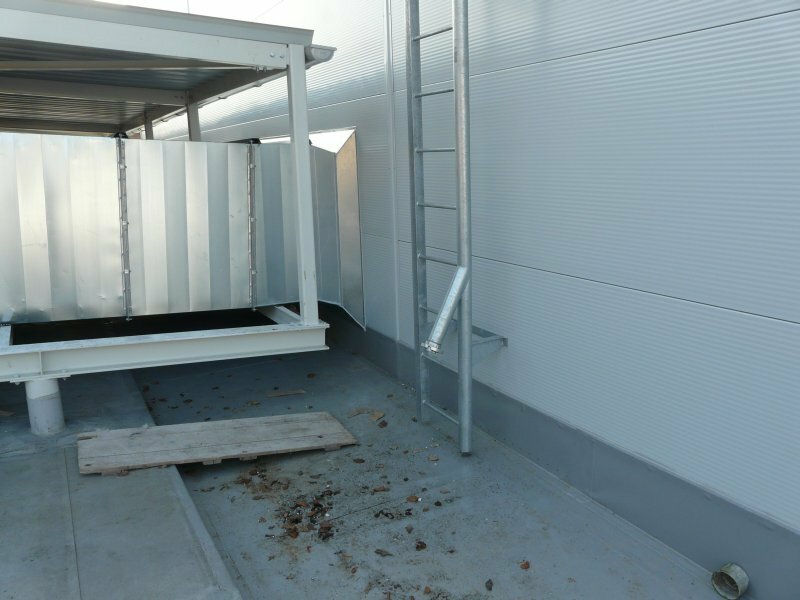 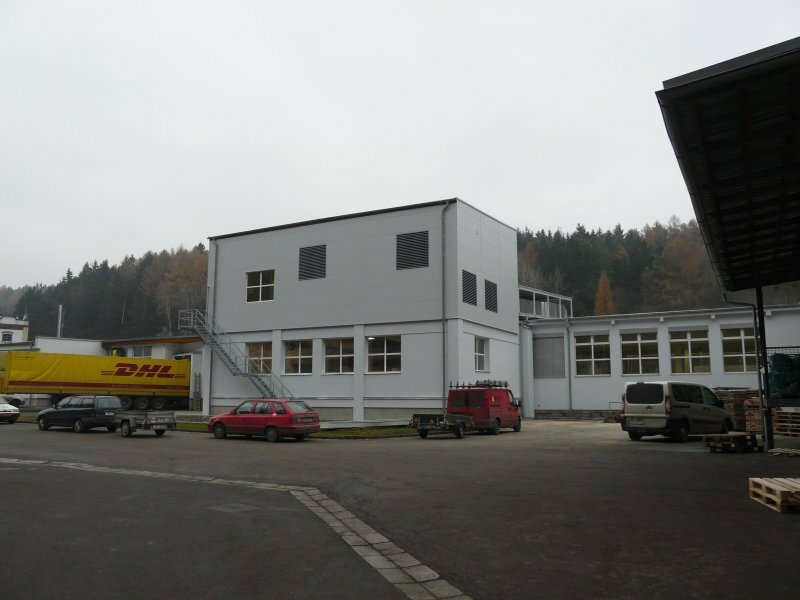 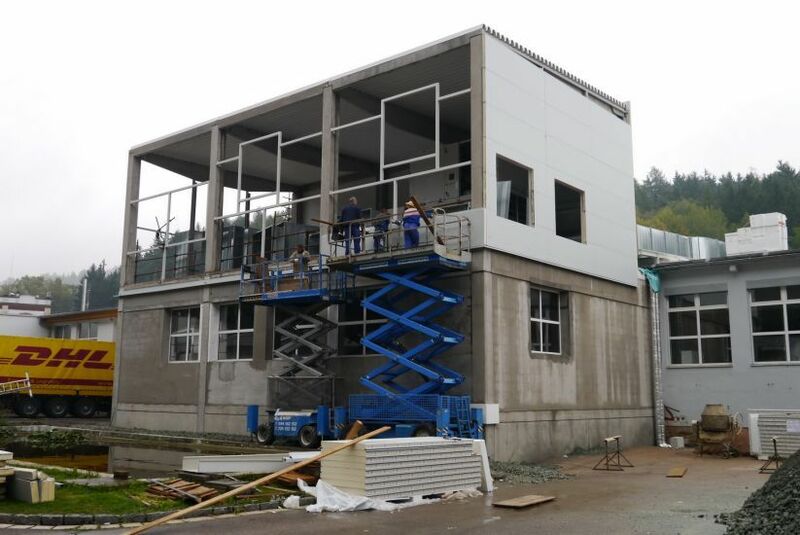 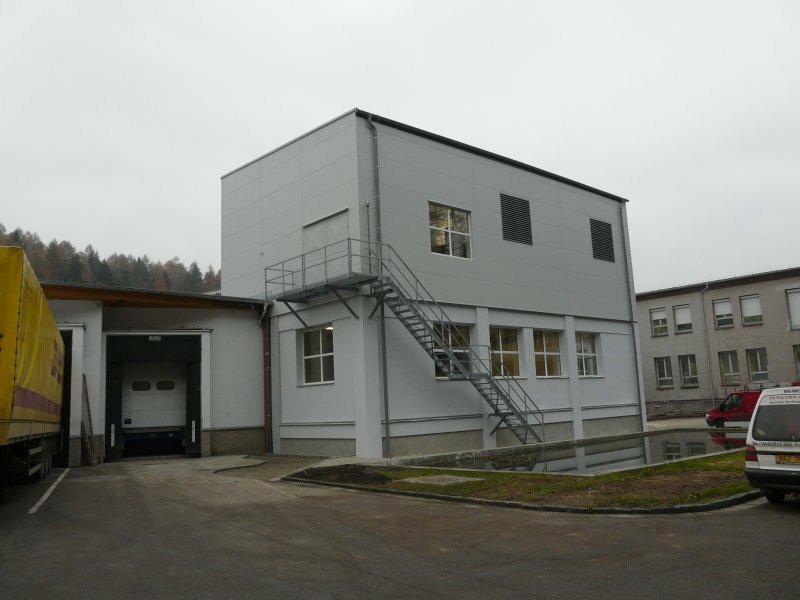 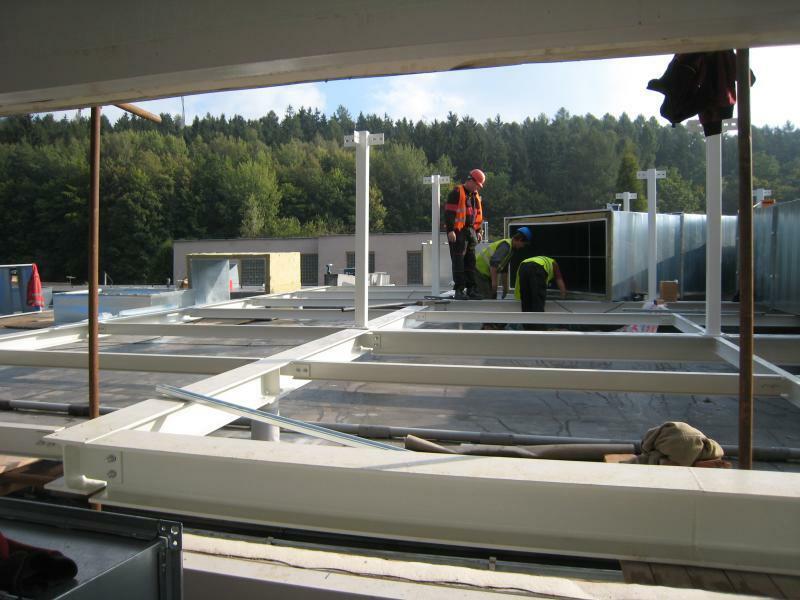 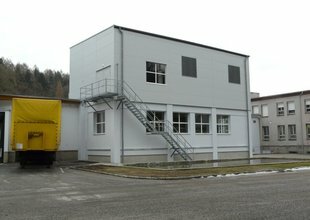 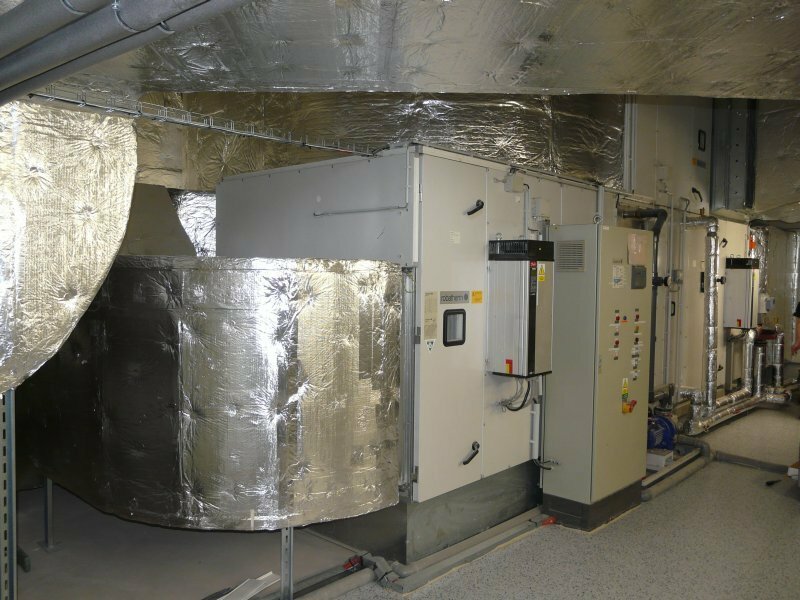 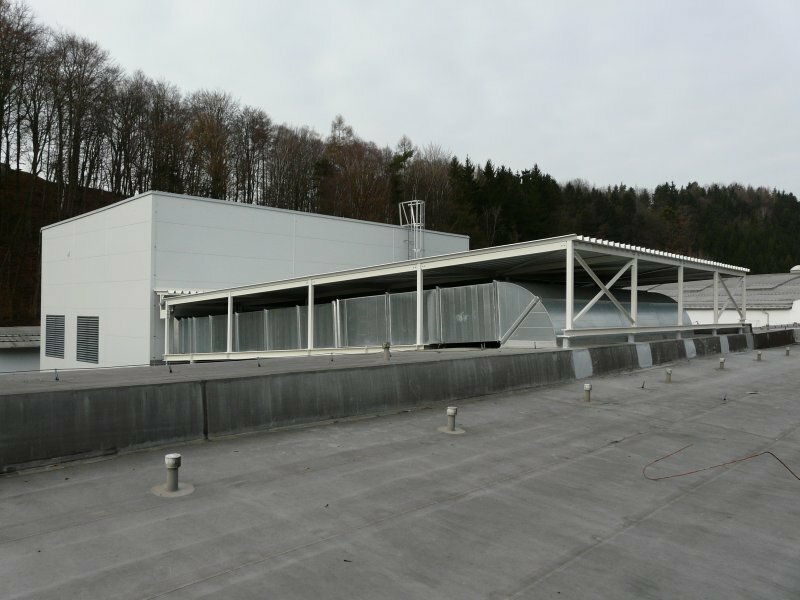 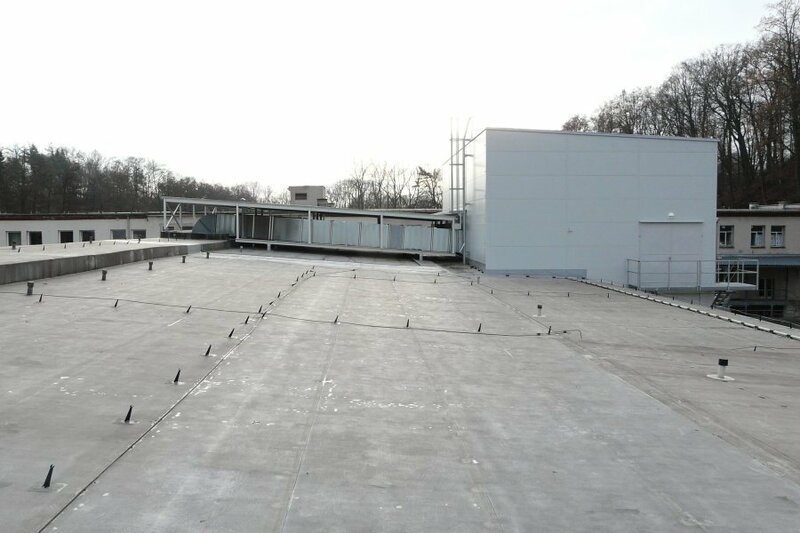 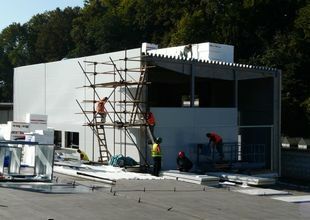 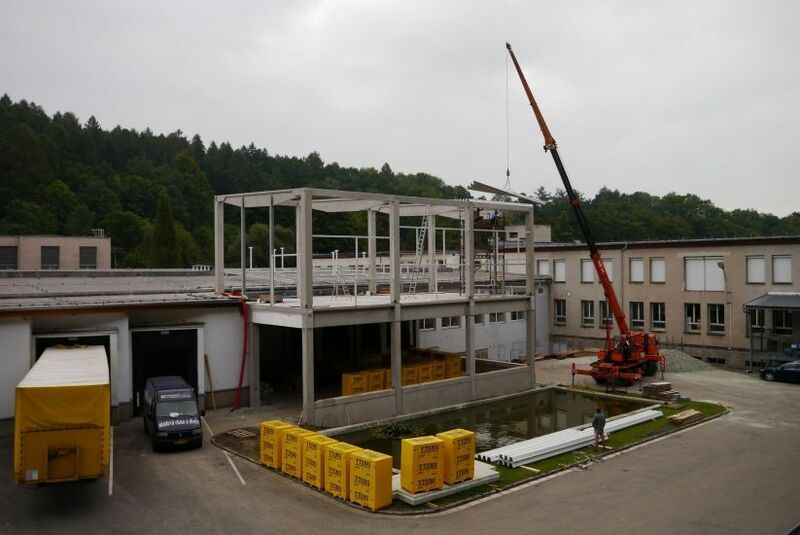 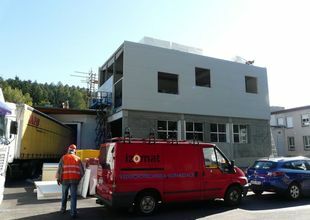 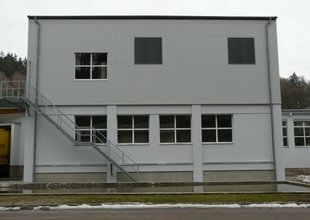 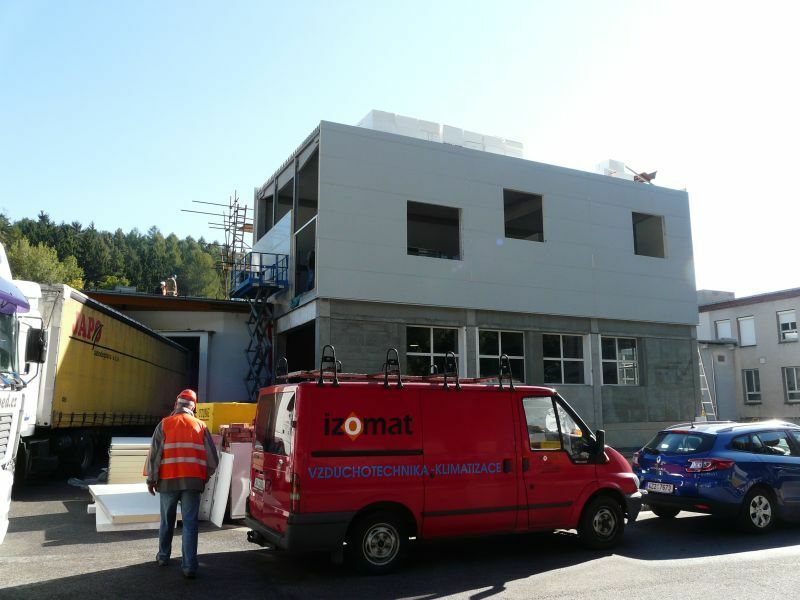 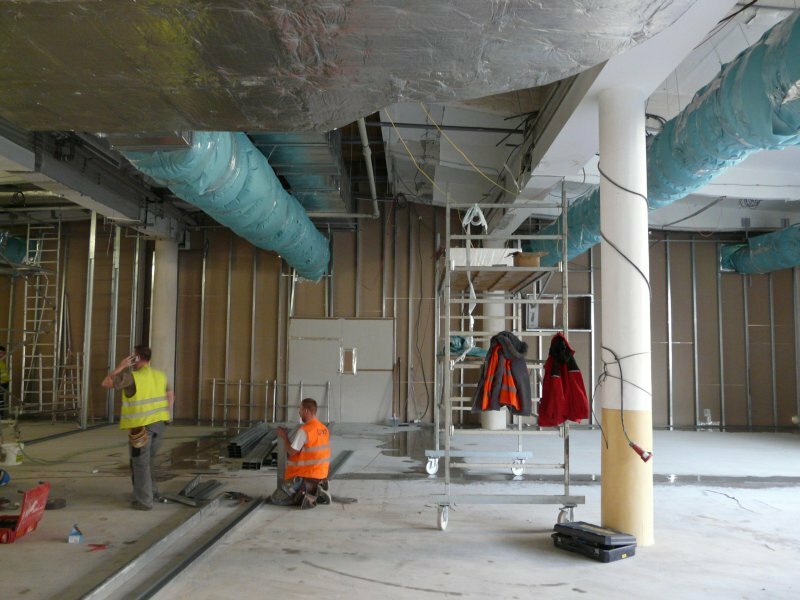 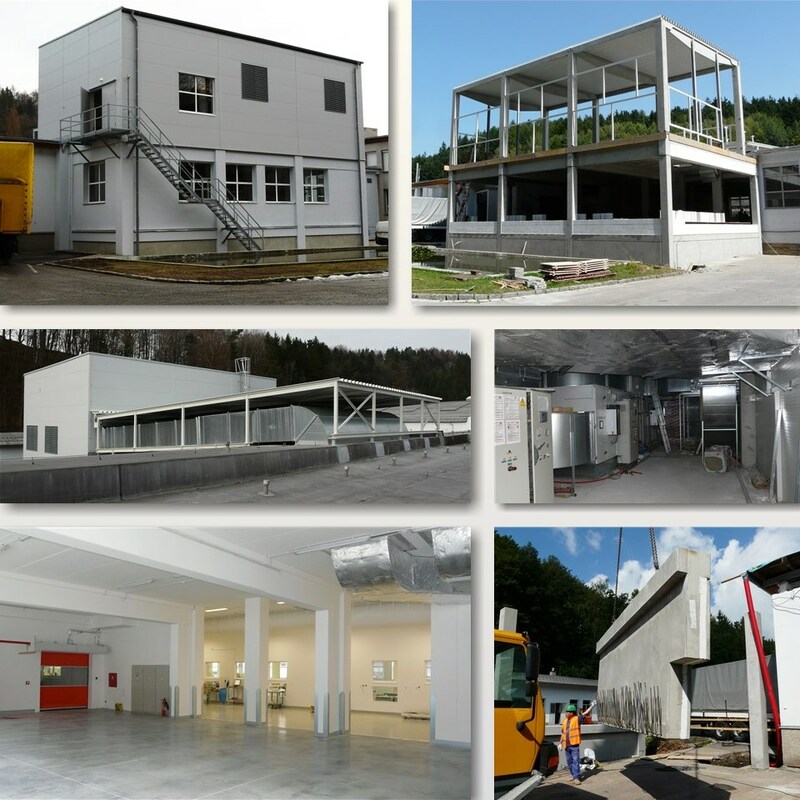 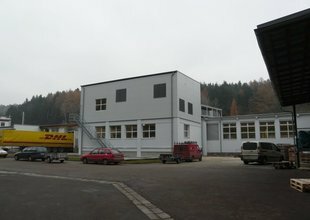 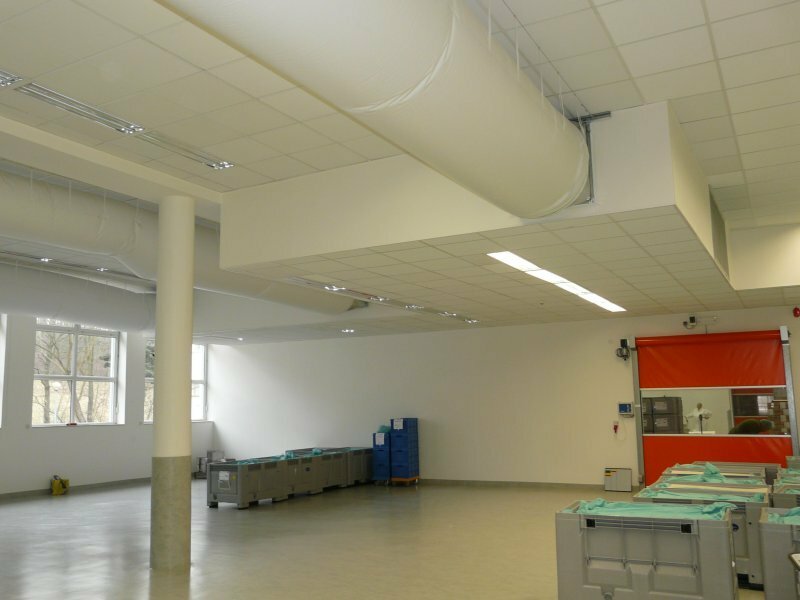 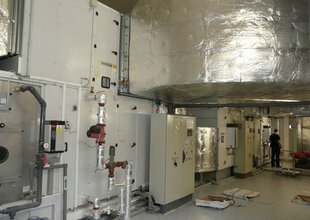 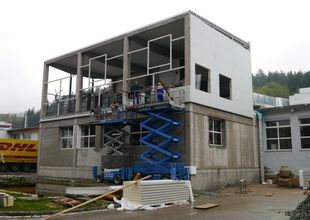 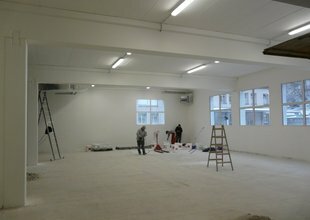 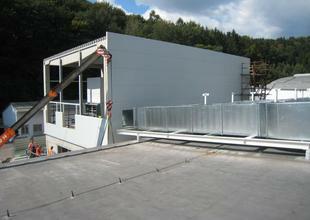 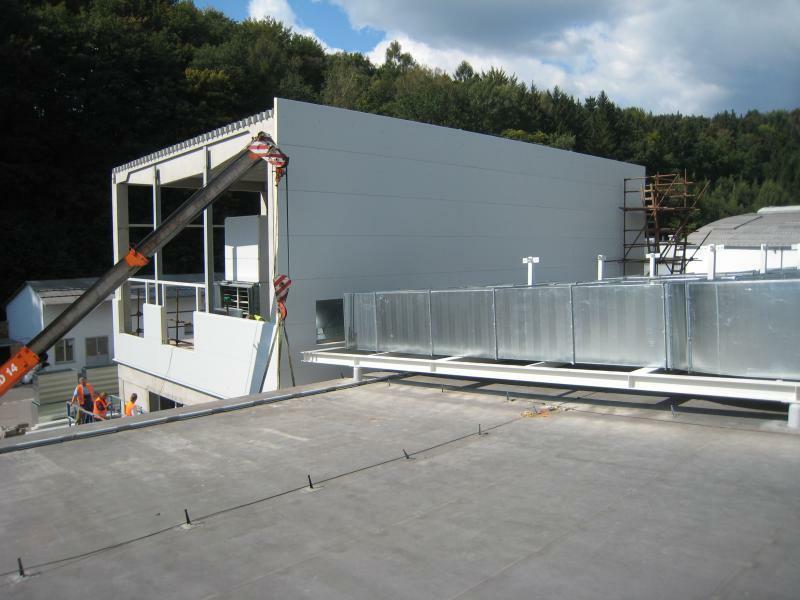 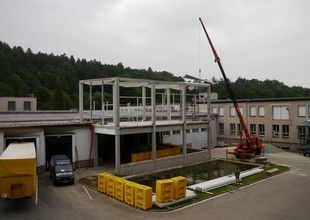 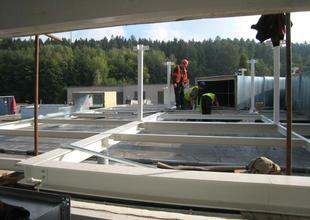 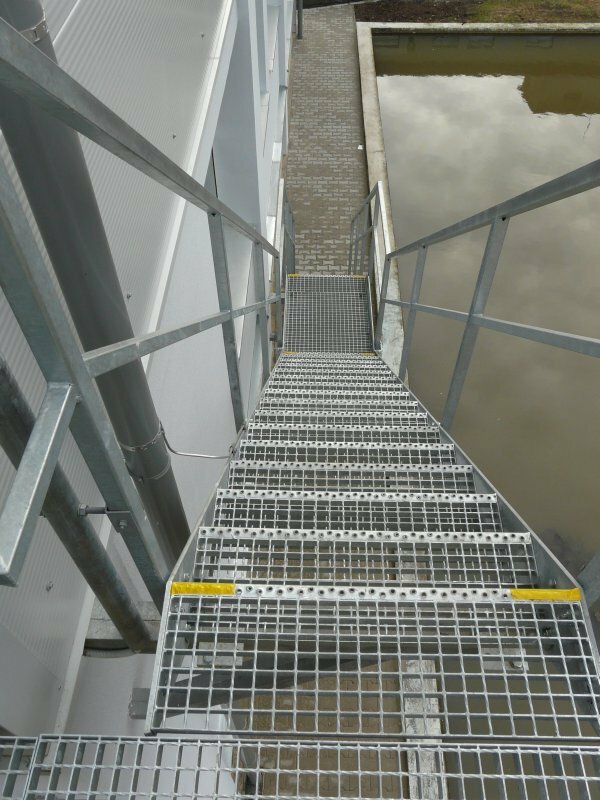 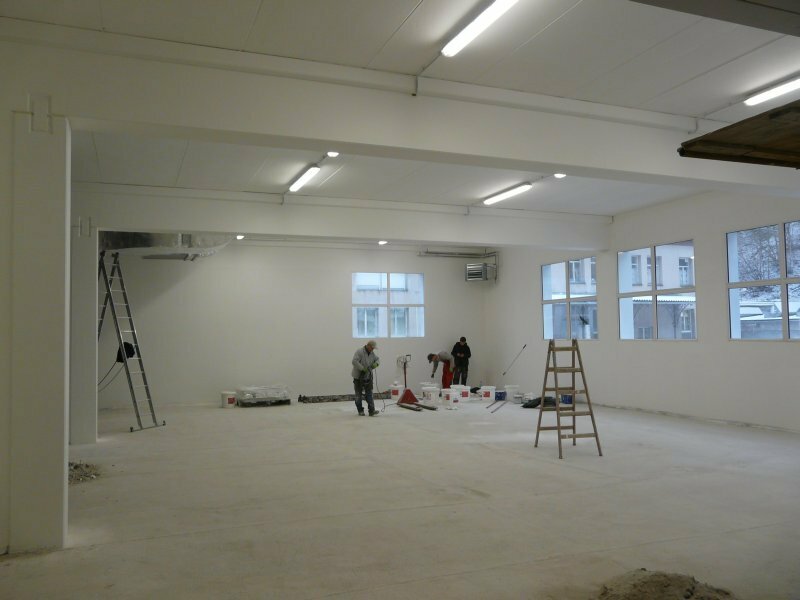 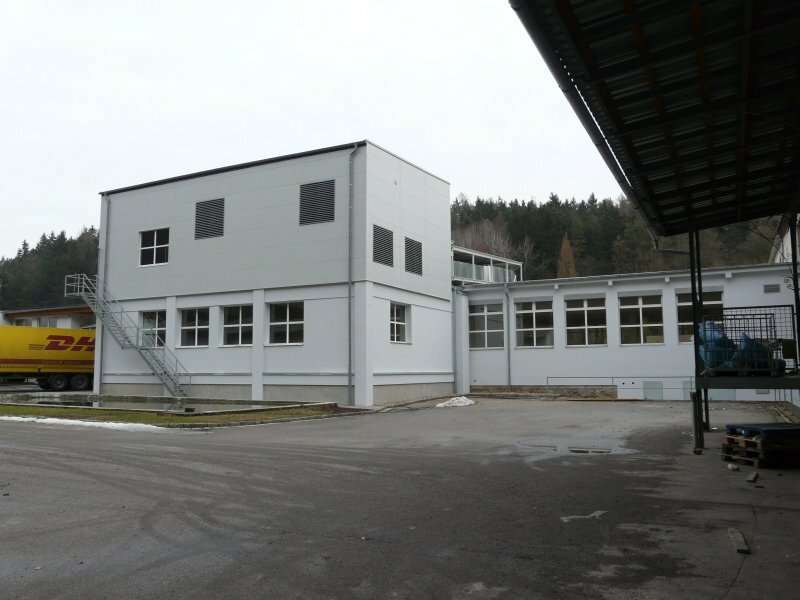 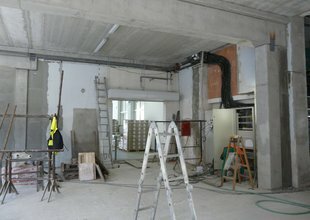 The extension on the 1st floor level expanded the existing storage and handling capacity of finished healthcare products. 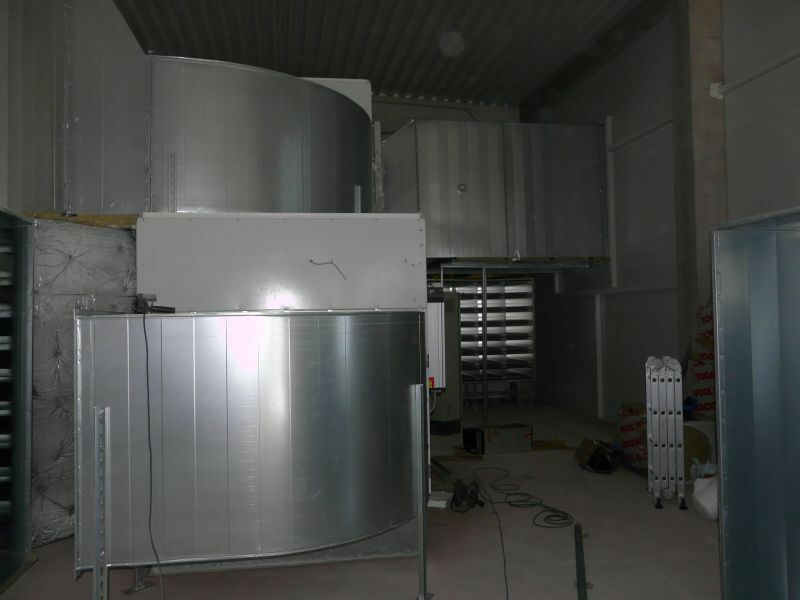 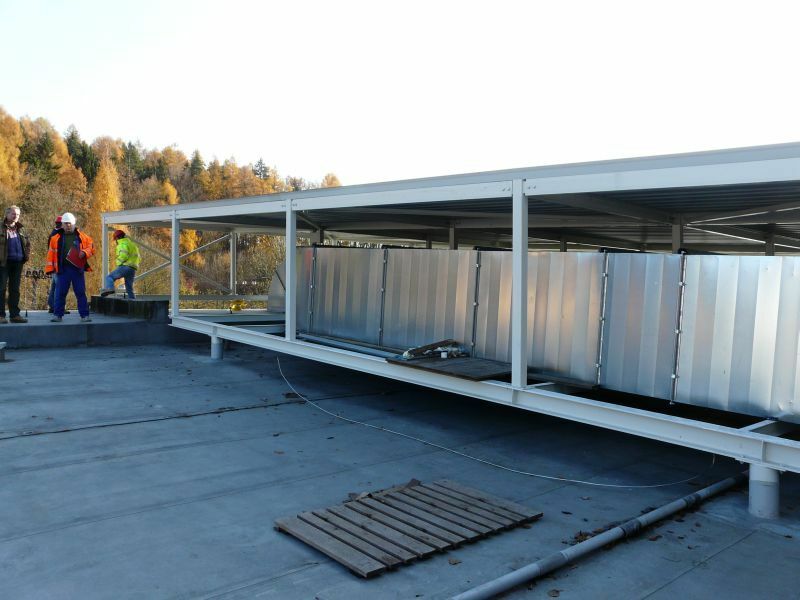 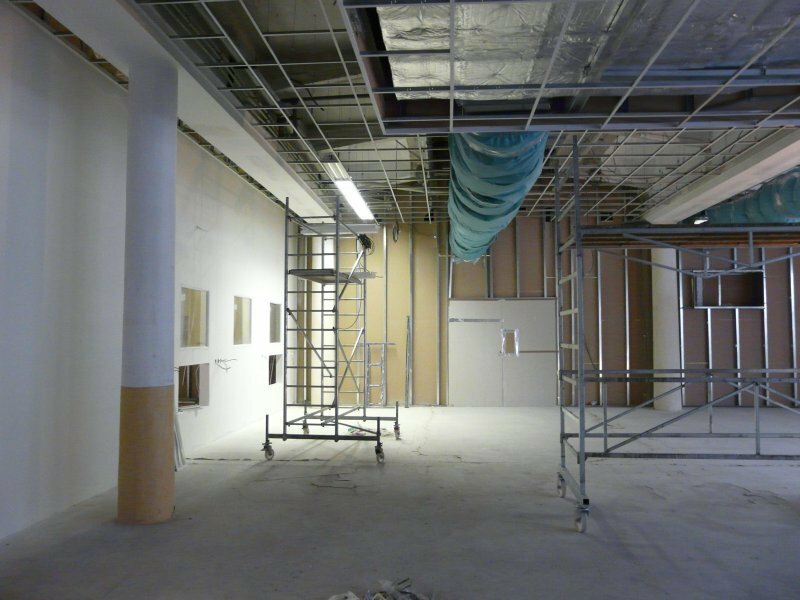 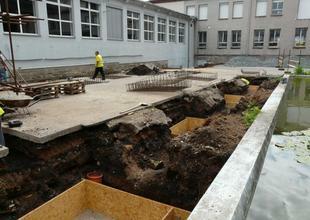 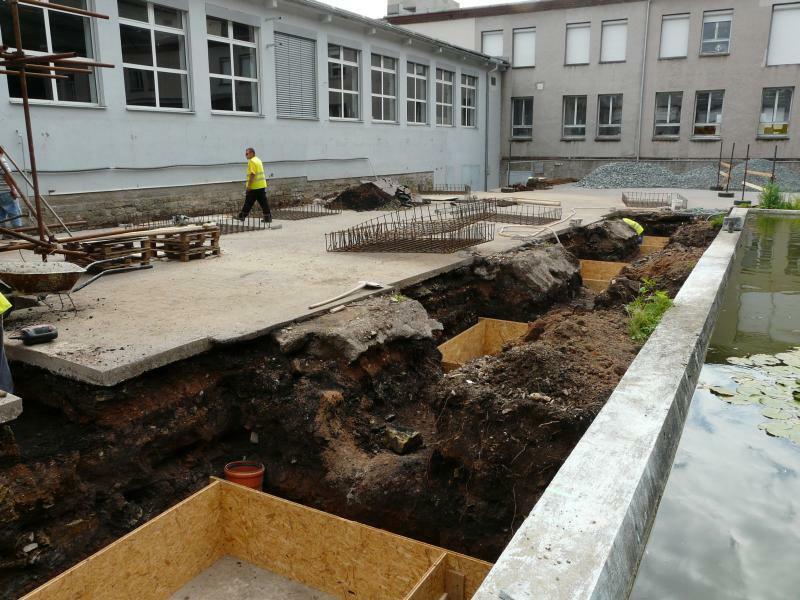 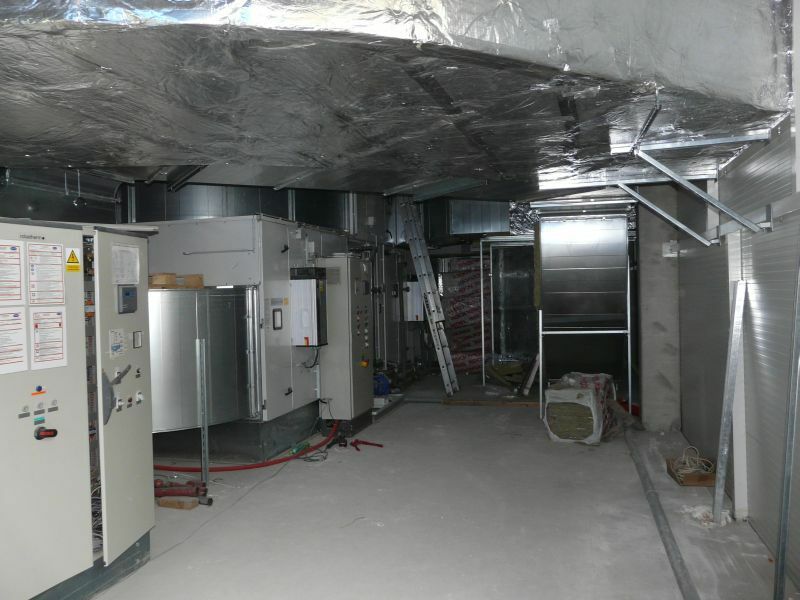 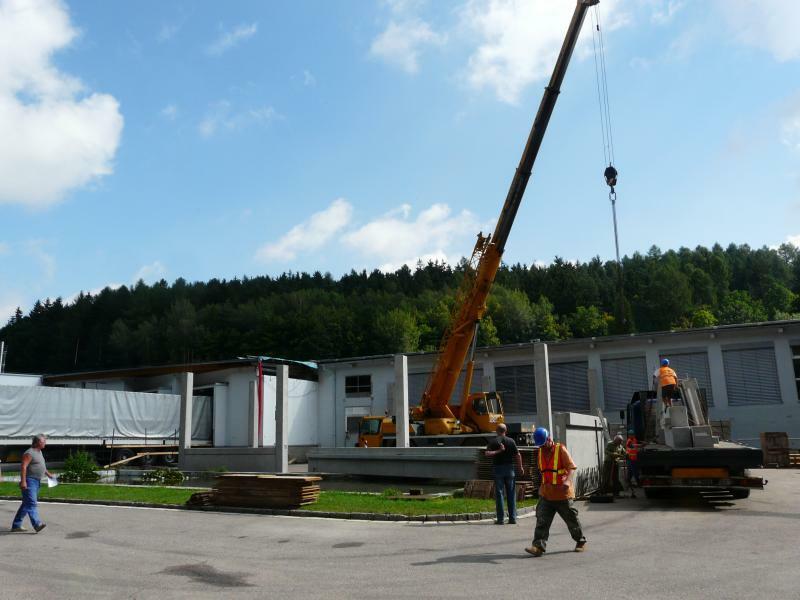 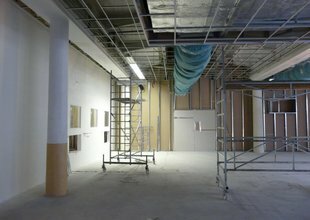 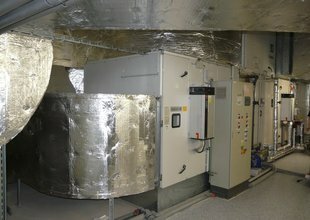 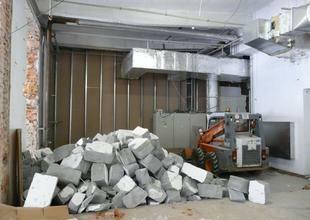 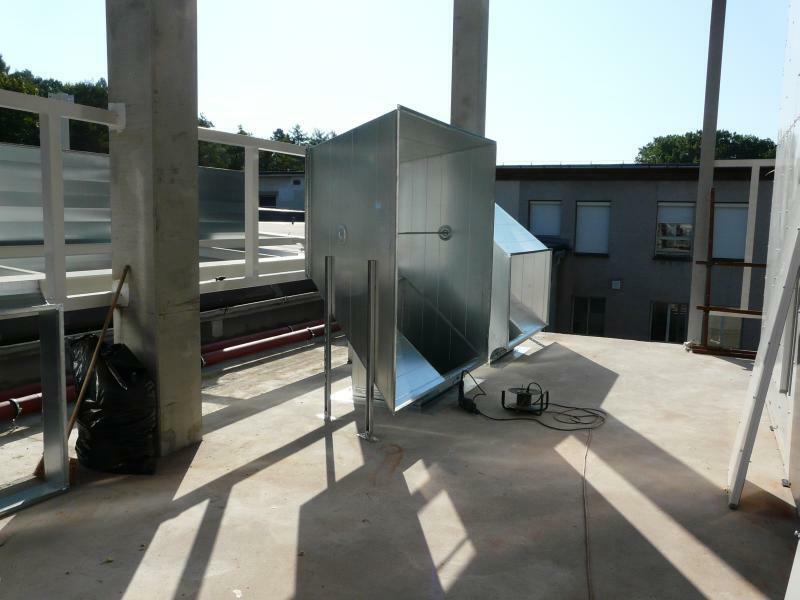 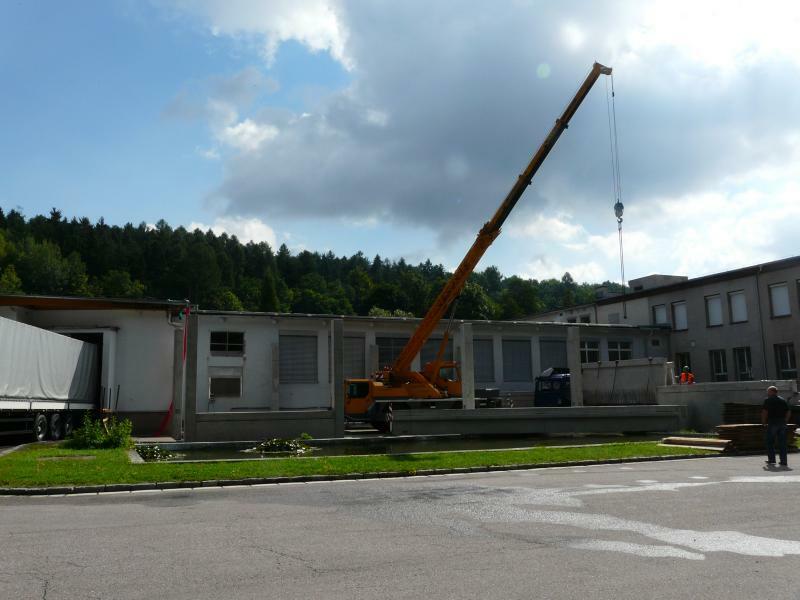 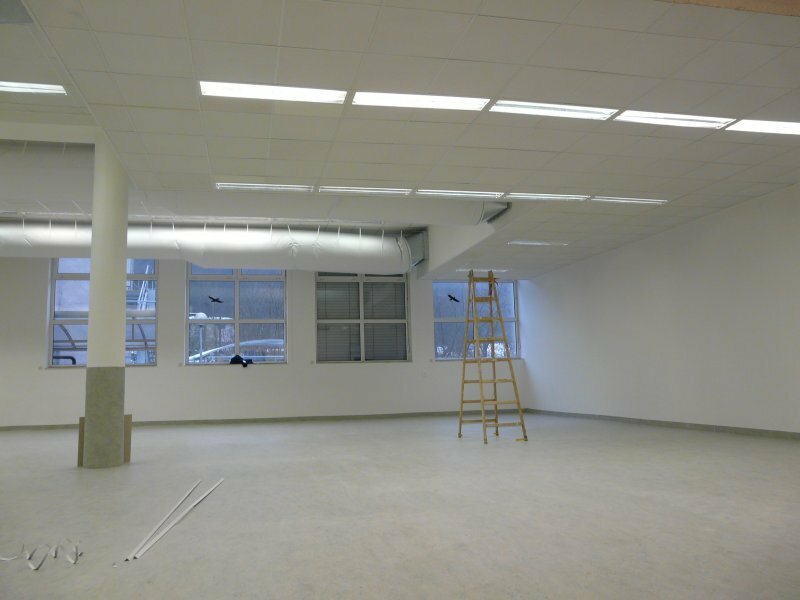 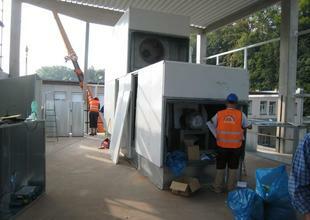 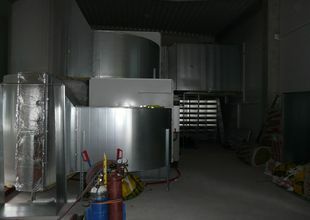 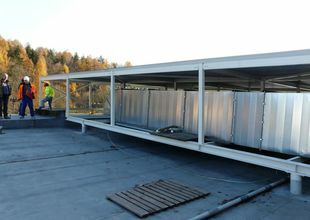 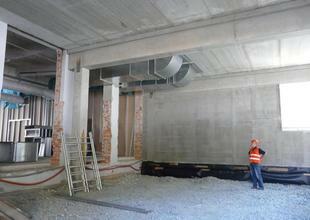 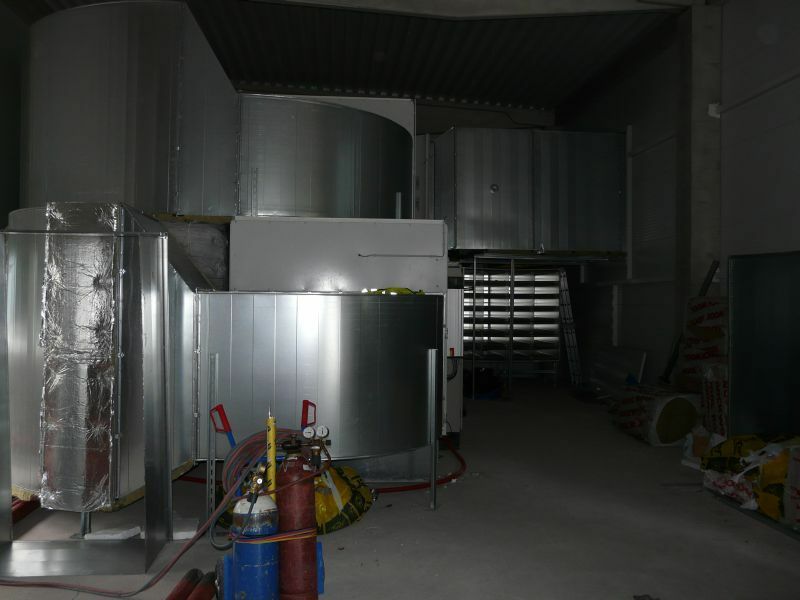 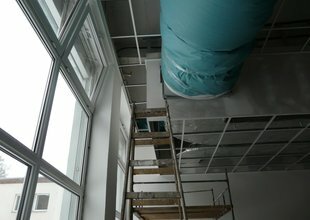 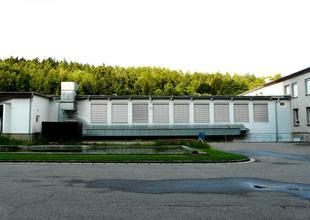 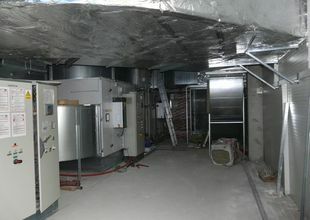 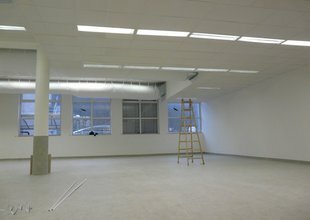 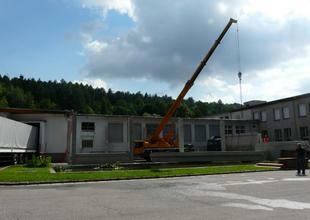 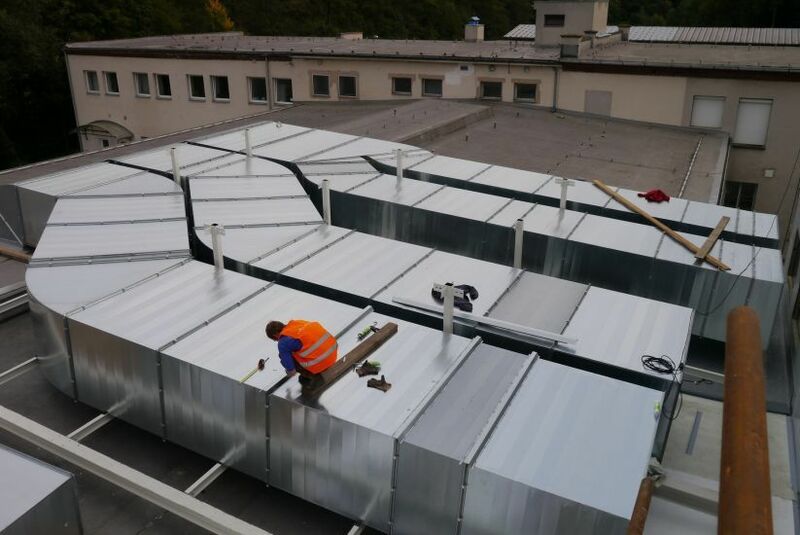 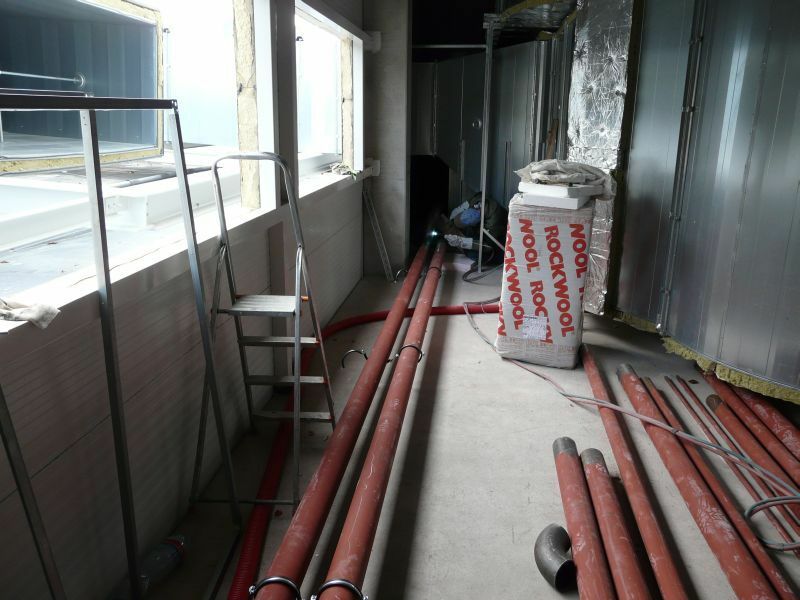 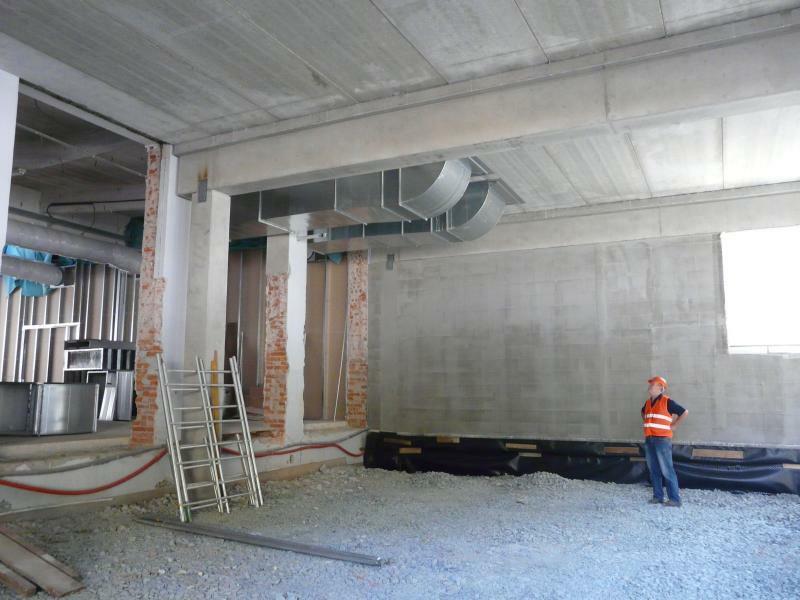 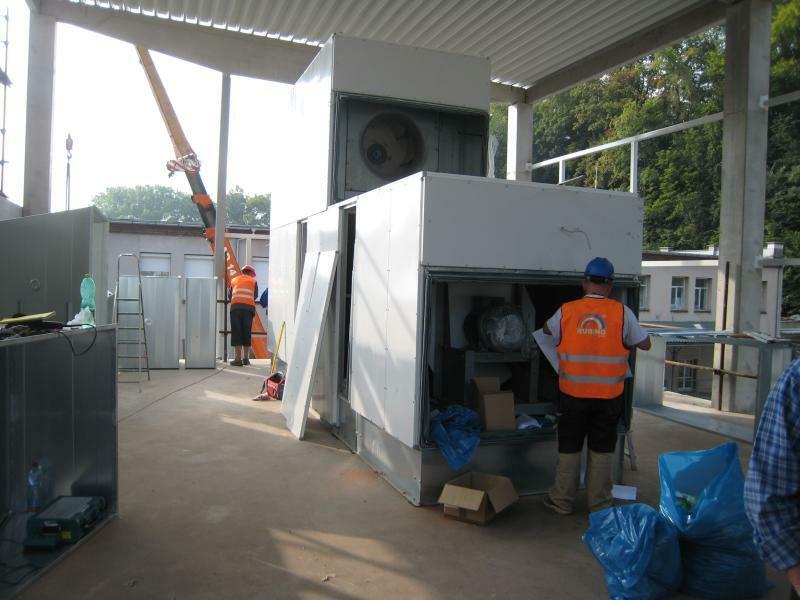 The existing HVAC devices were moved from Manufacturing Halls 2 and 3 to the extension on the second floor. 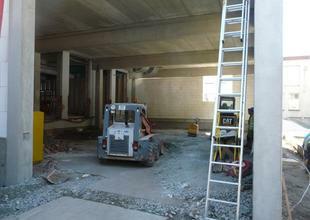 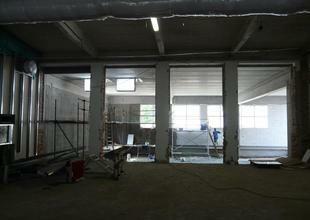 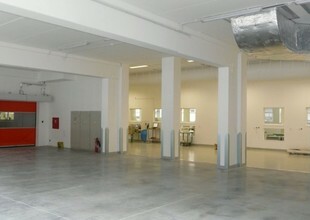 The cleared out space in the halls could be used for expansion of the manufacturing area. 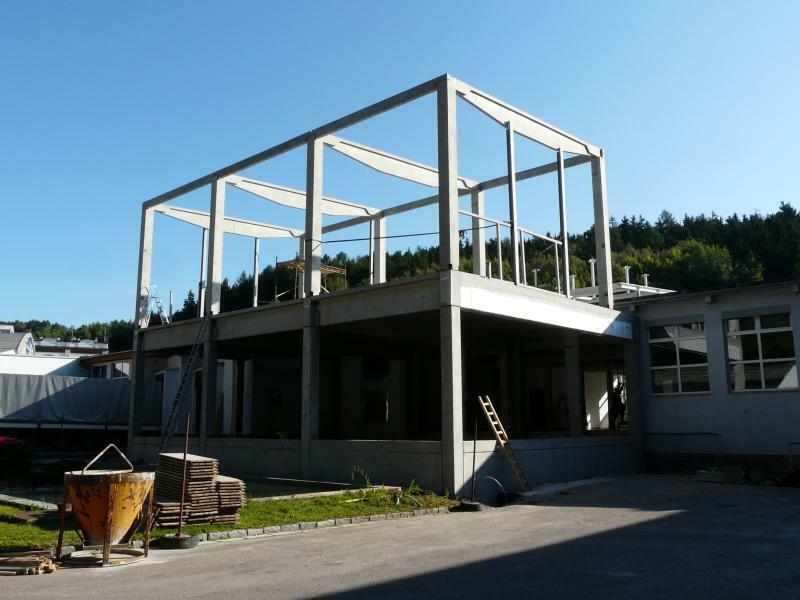 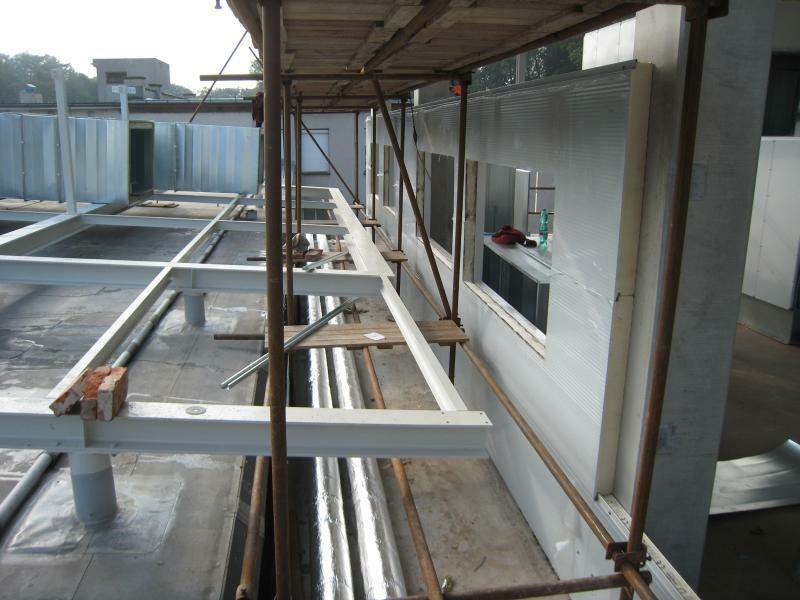 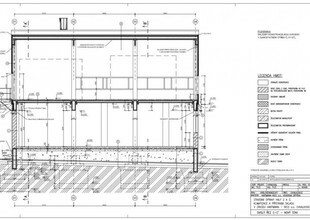 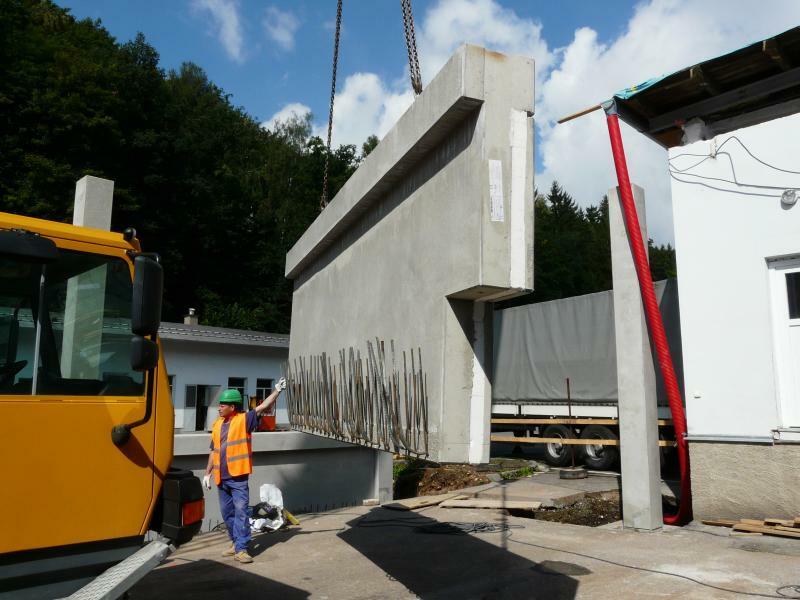 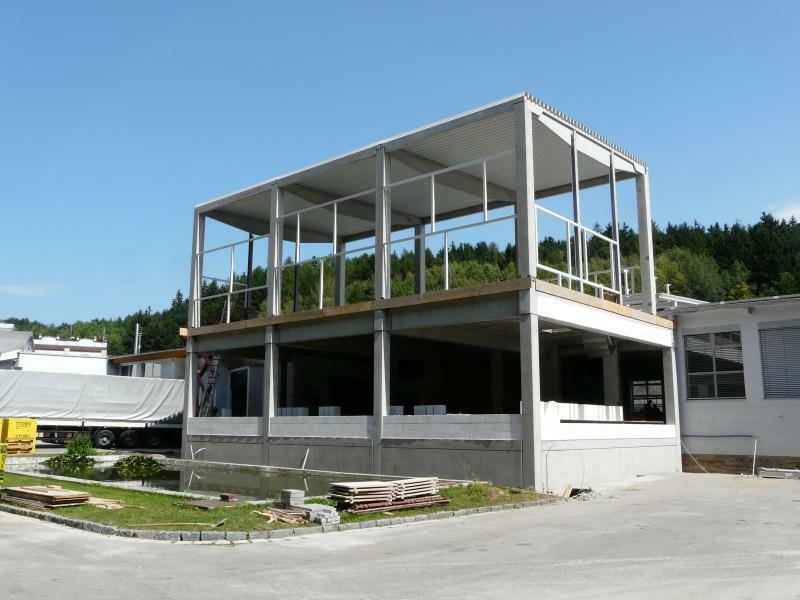 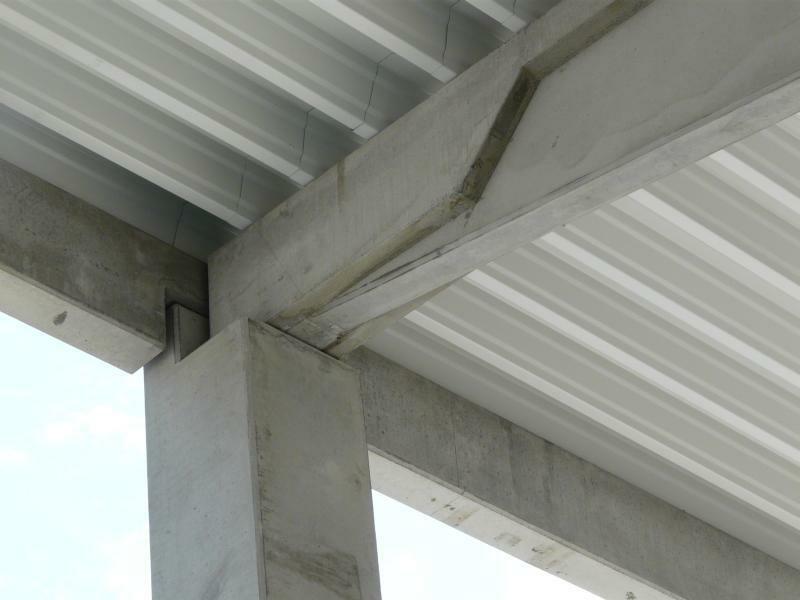 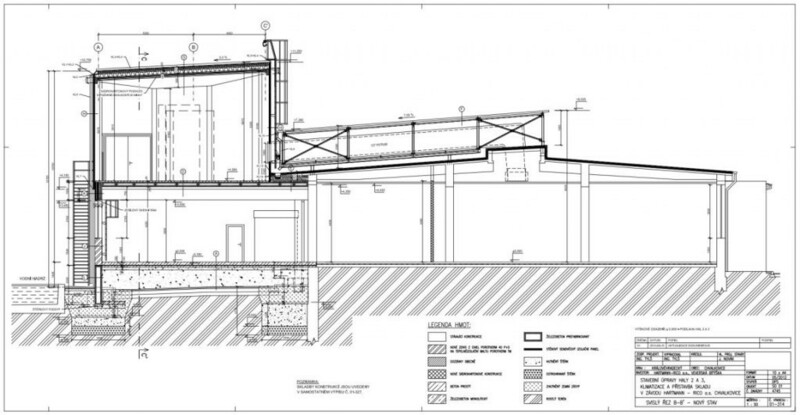 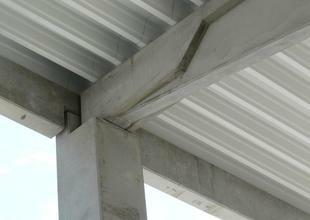 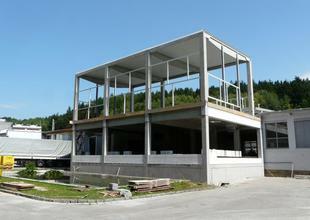 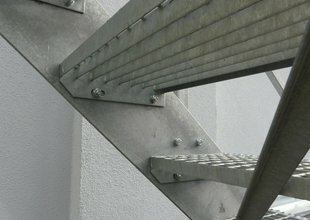 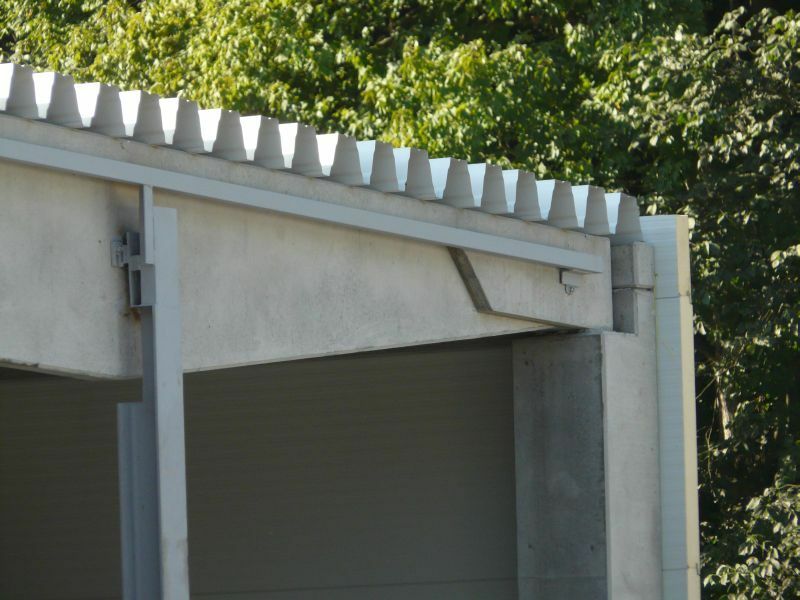 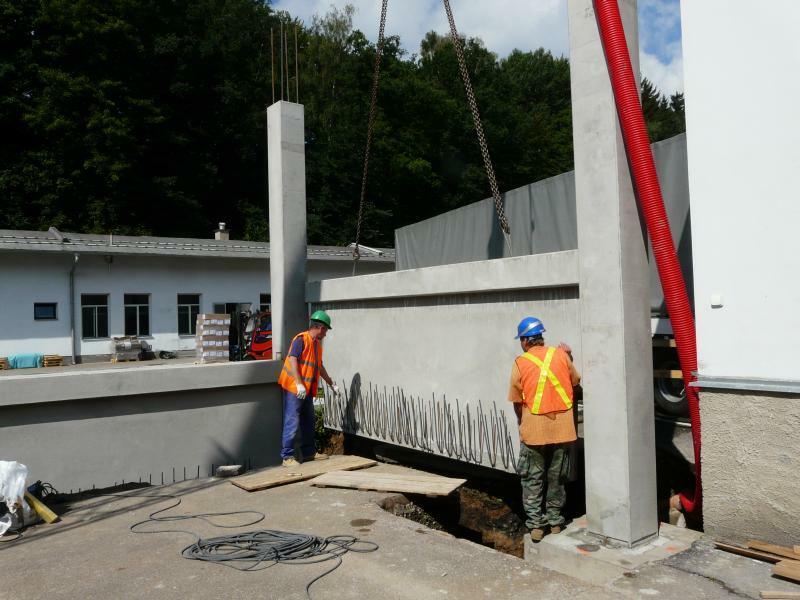 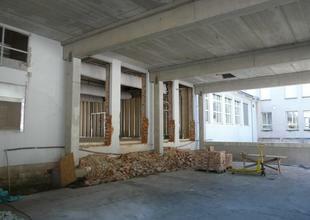 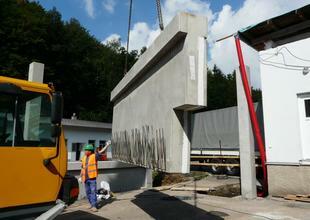 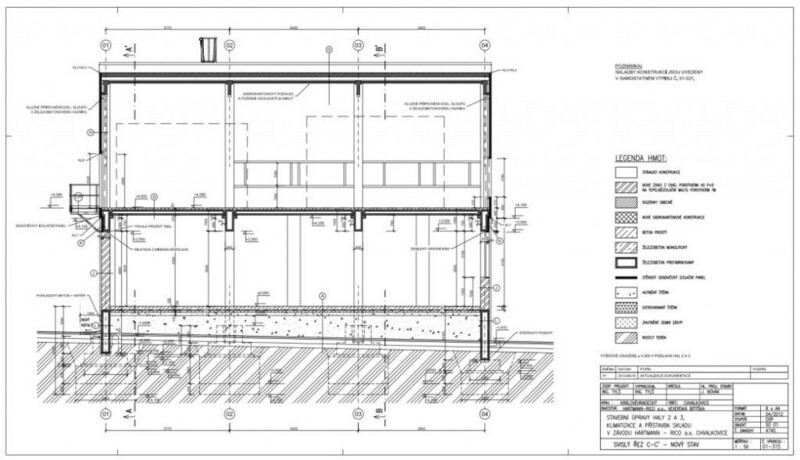 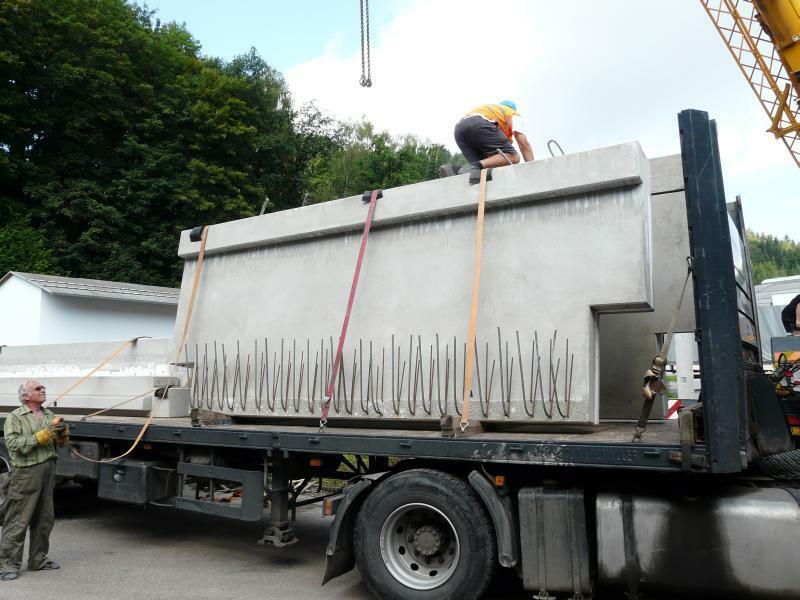 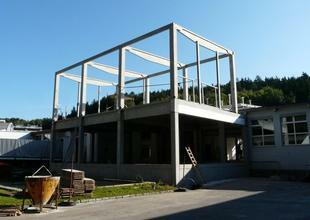 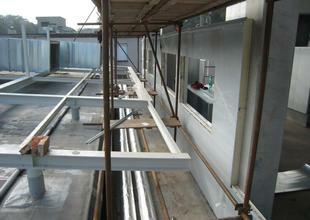 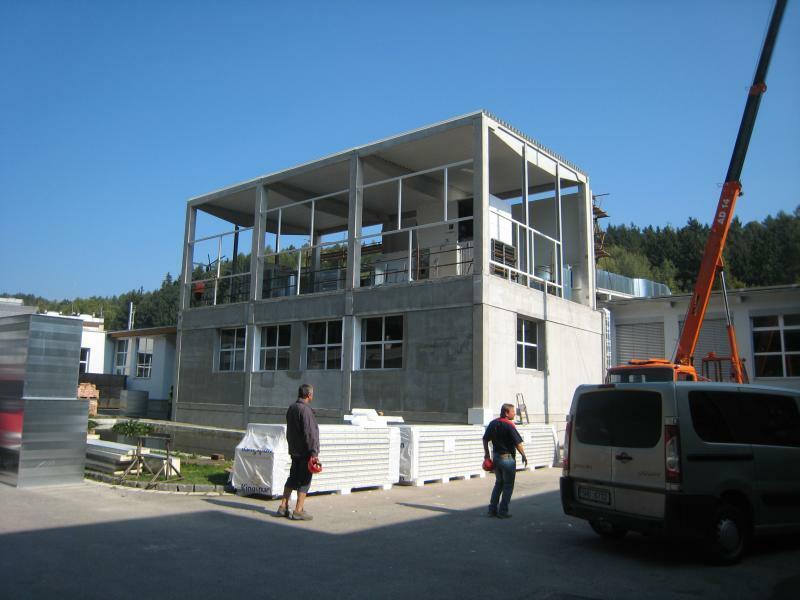 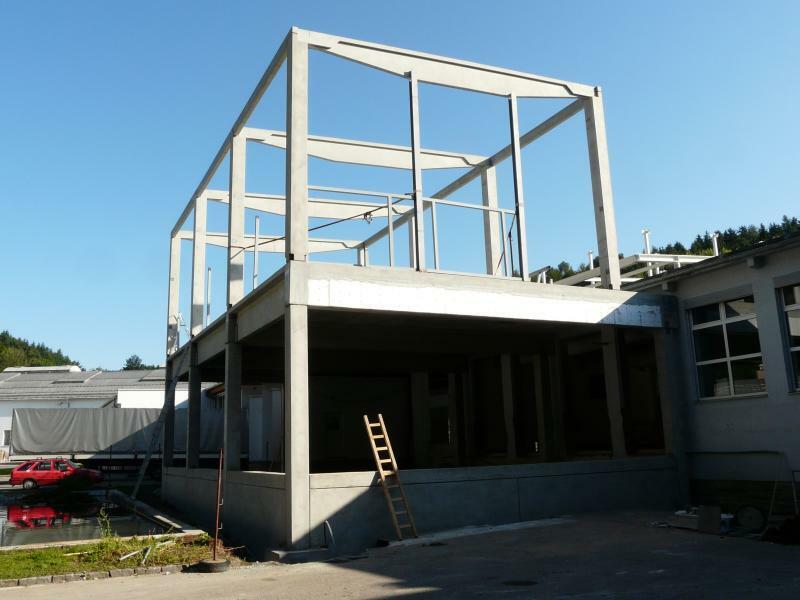 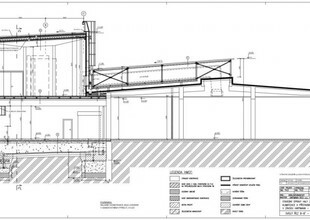 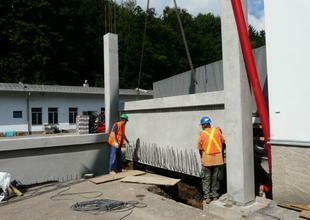 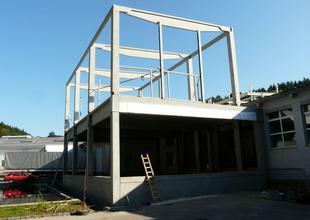 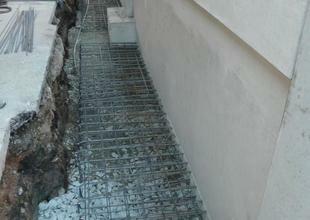 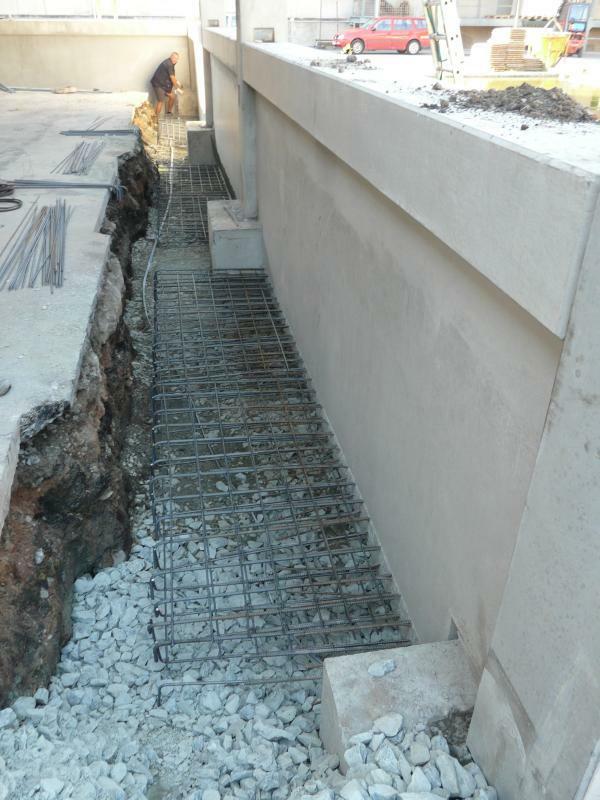 The load-bearing structure of the extension consists of a prefabricated reinforced concrete frame. 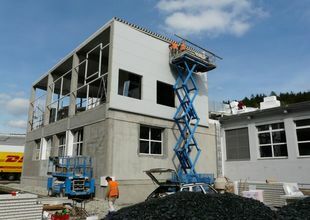 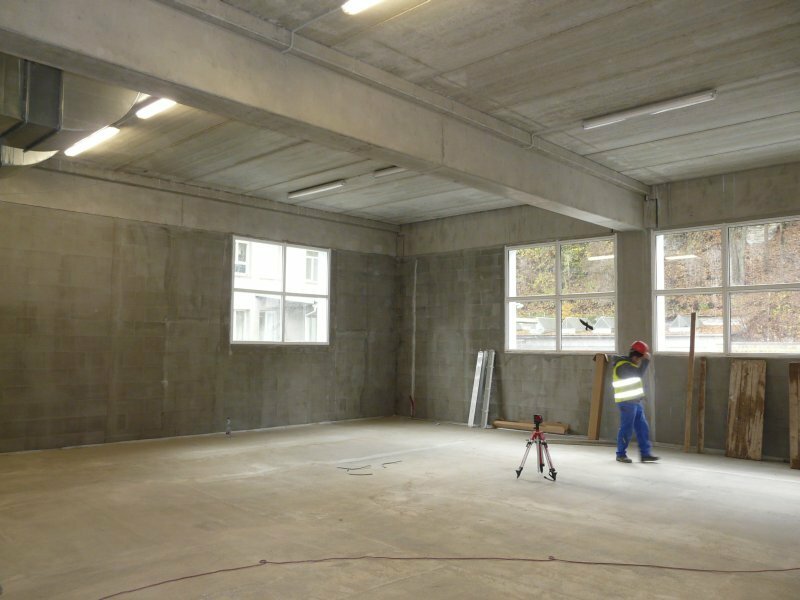 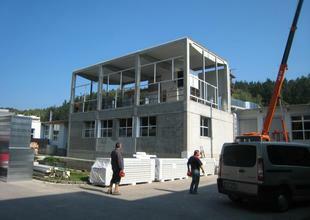 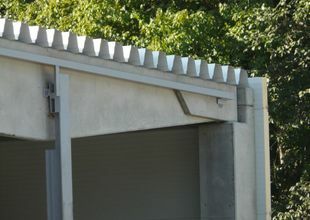 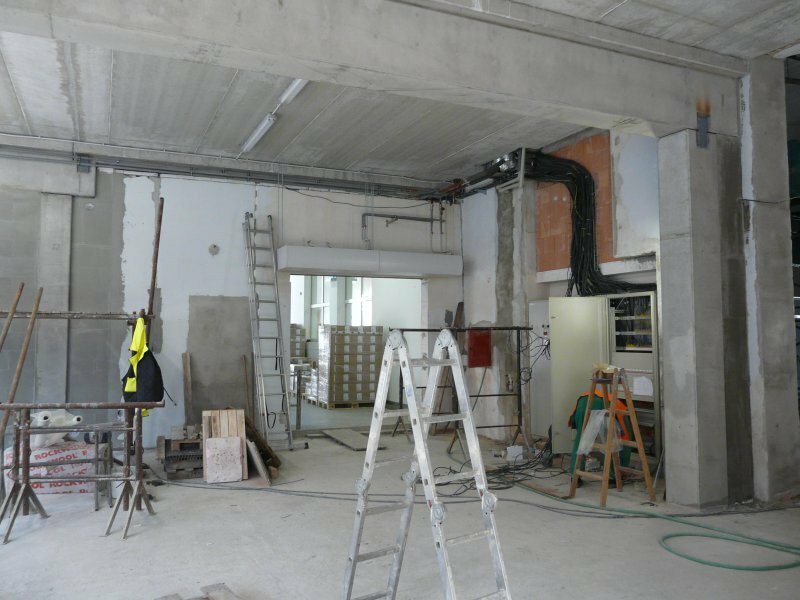 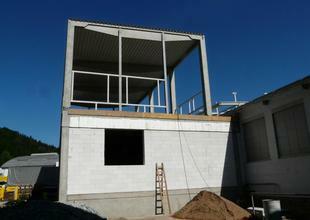 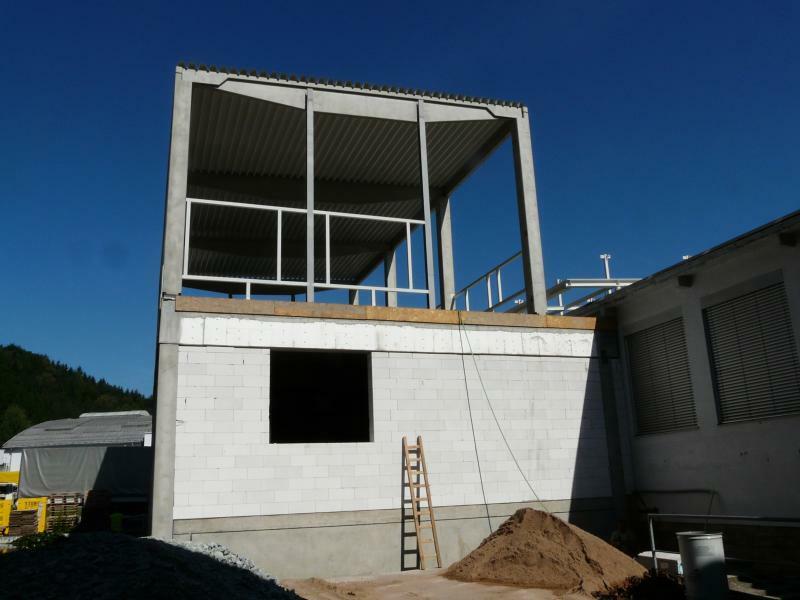 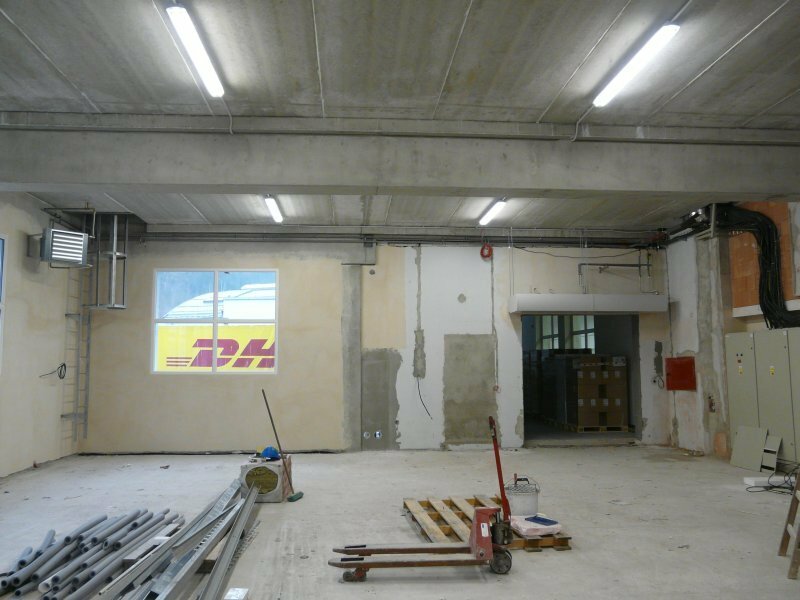 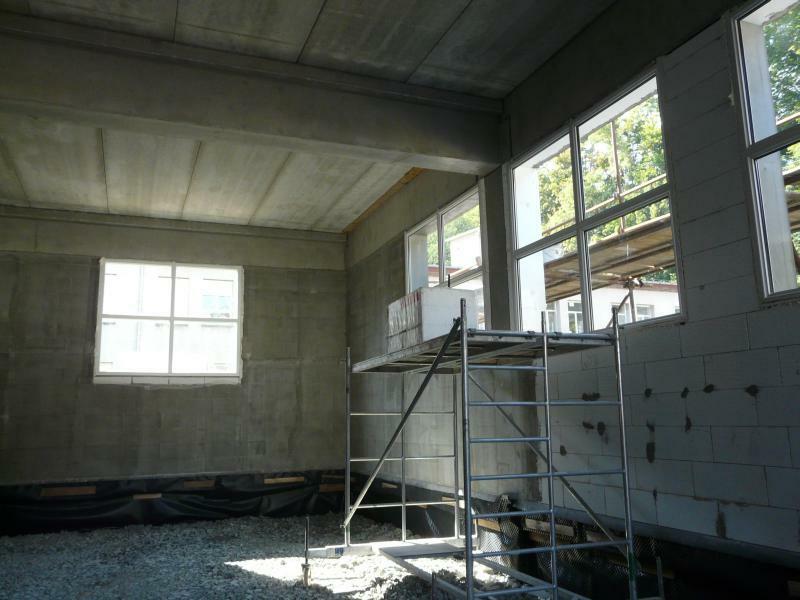 The first floor of the building envelope consists of infilling light-weight gas-concrete blocks. 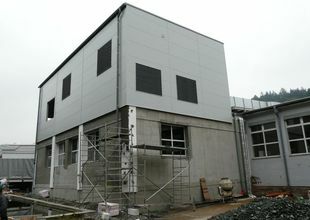 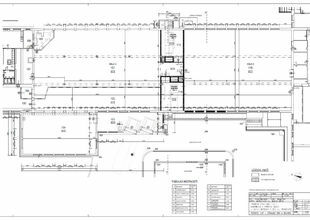 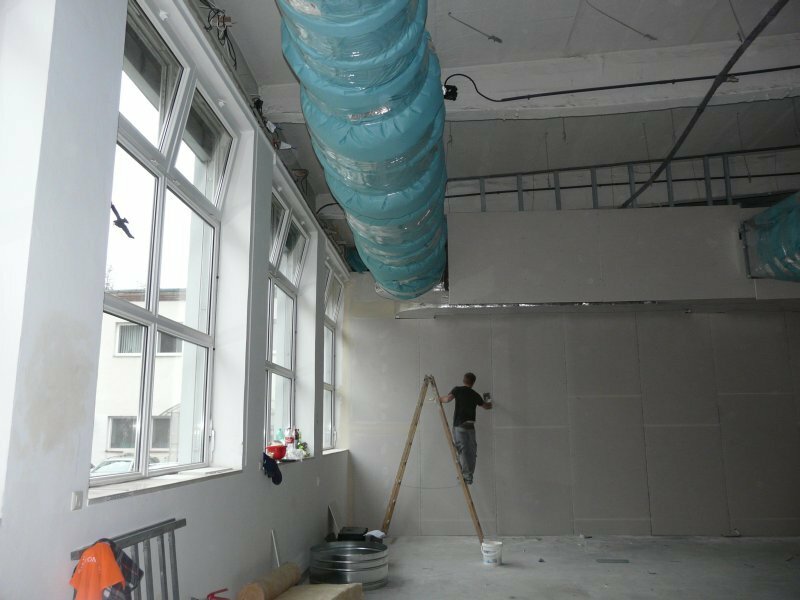 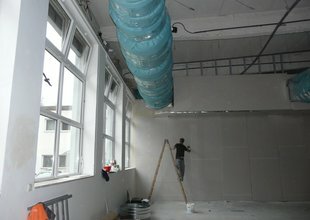 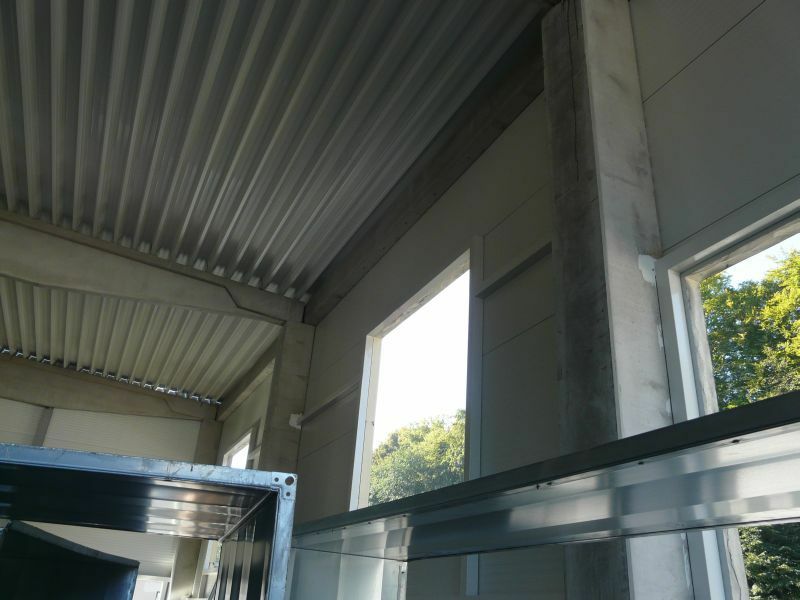 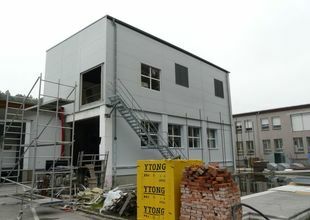 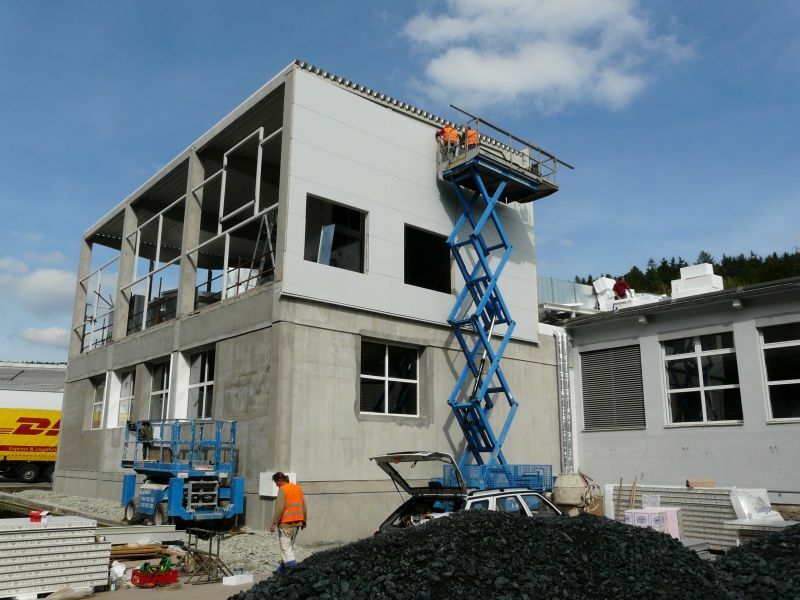 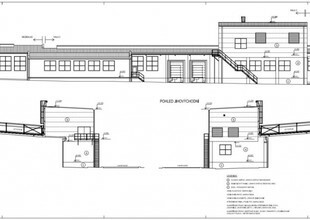 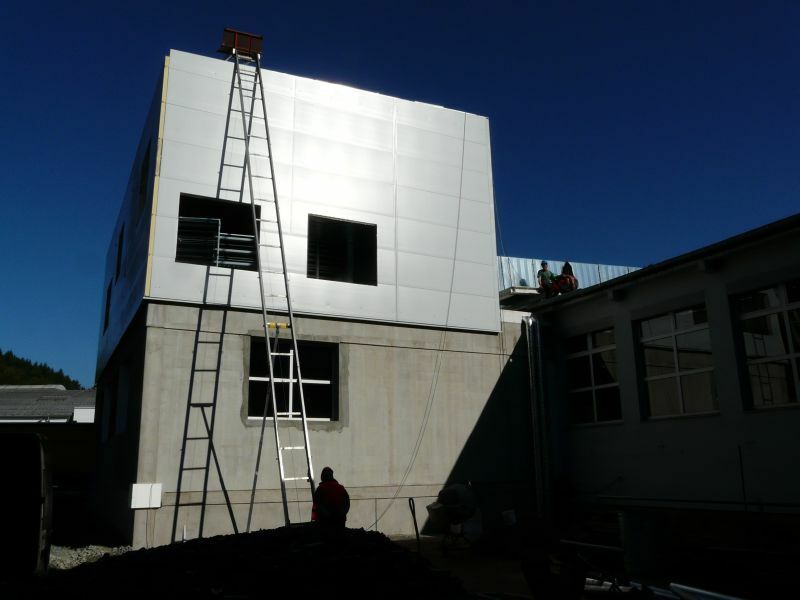 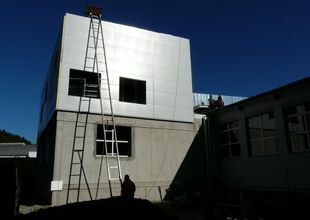 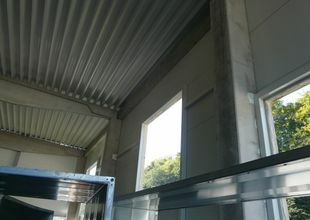 The building envelope on the second floor consists of thermal insulating panels. 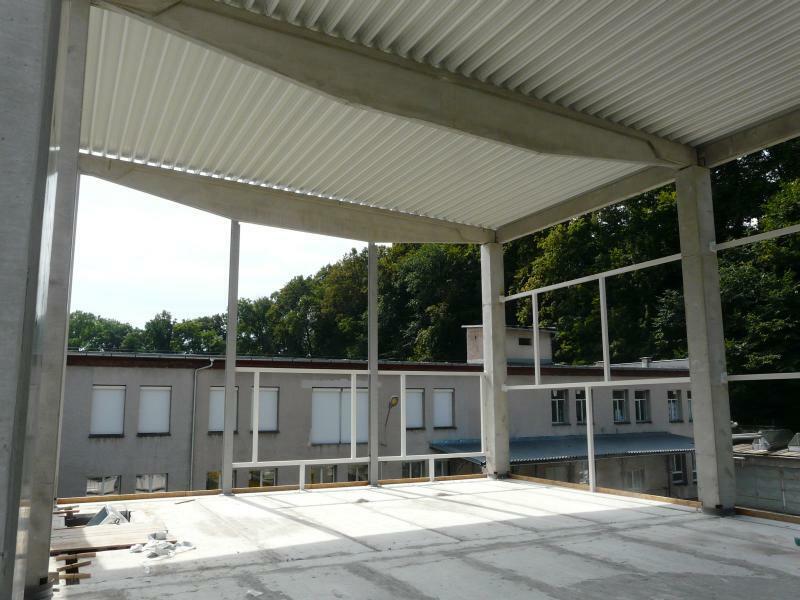 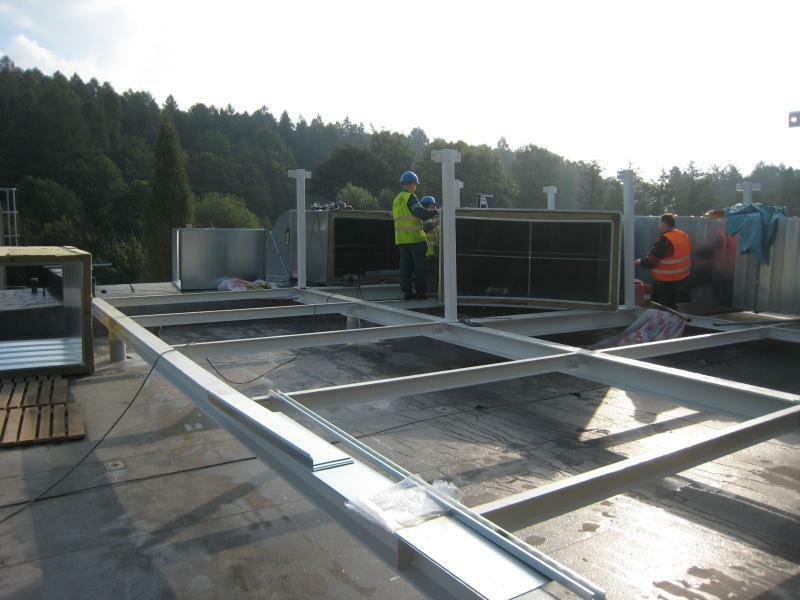 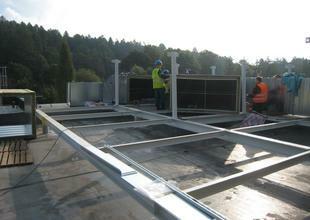 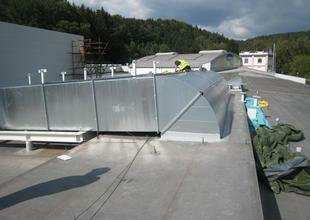 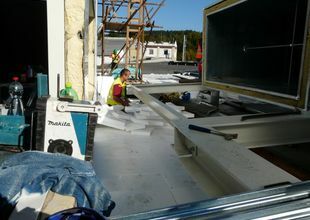 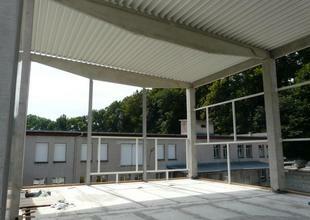 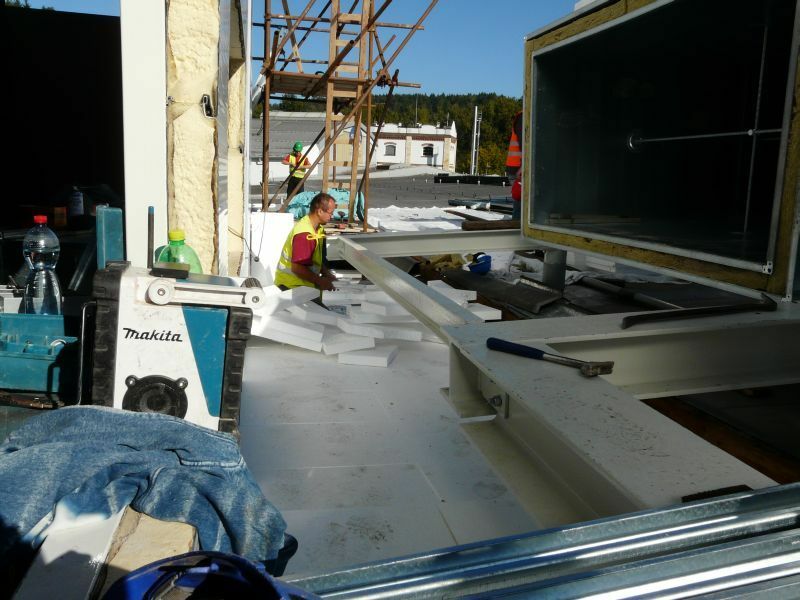 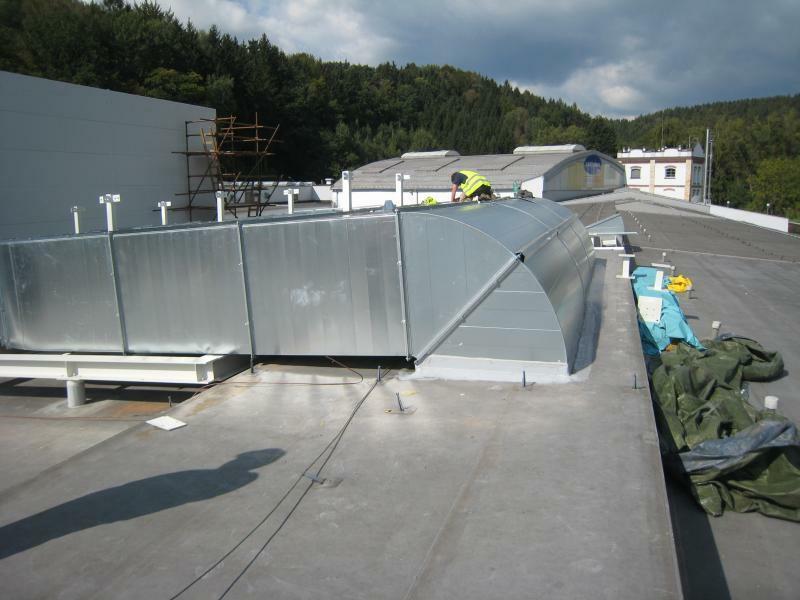 The roof is made from trapezoidal sheet metal with heat insulation and a PVC film layer. 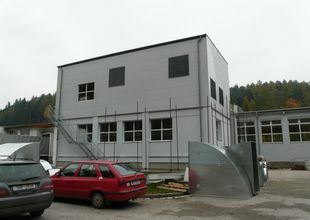 Supplier of Construction Work ALKSTAV s.r.o. / ŽPSV a.s. 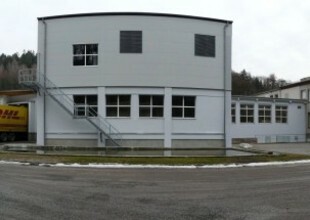 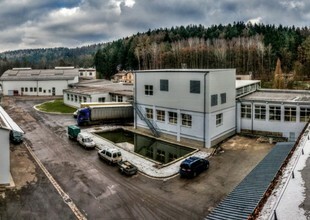 Supplier of Technologies Průmstav Náchod s.r.o.